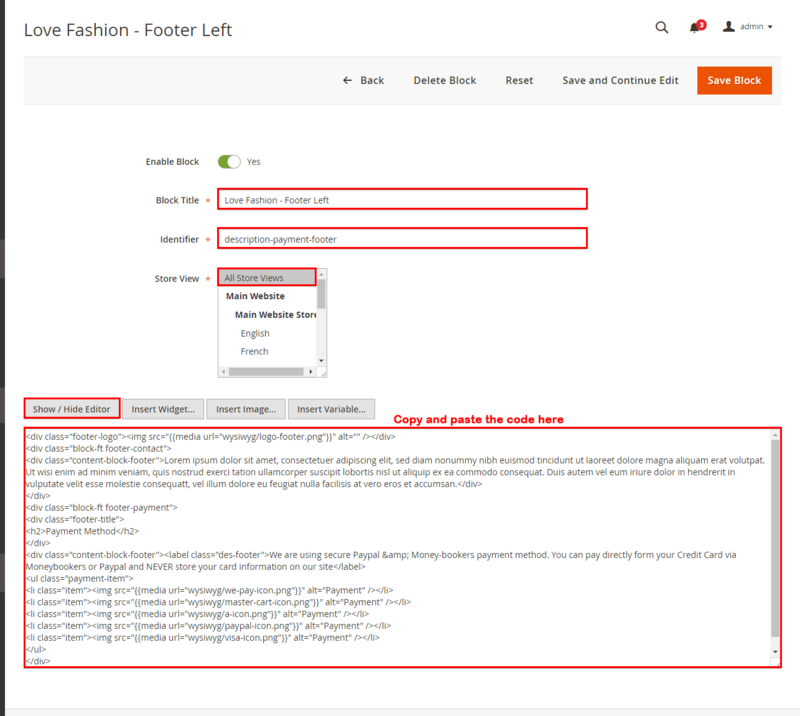 Step 1: Please unzip ‘sm_love_fashion_theme_m2.1.x-2.2.x_v2.7.0′ file and upload folders app; pub from the theme package to the root of your Magento site folder on your server. 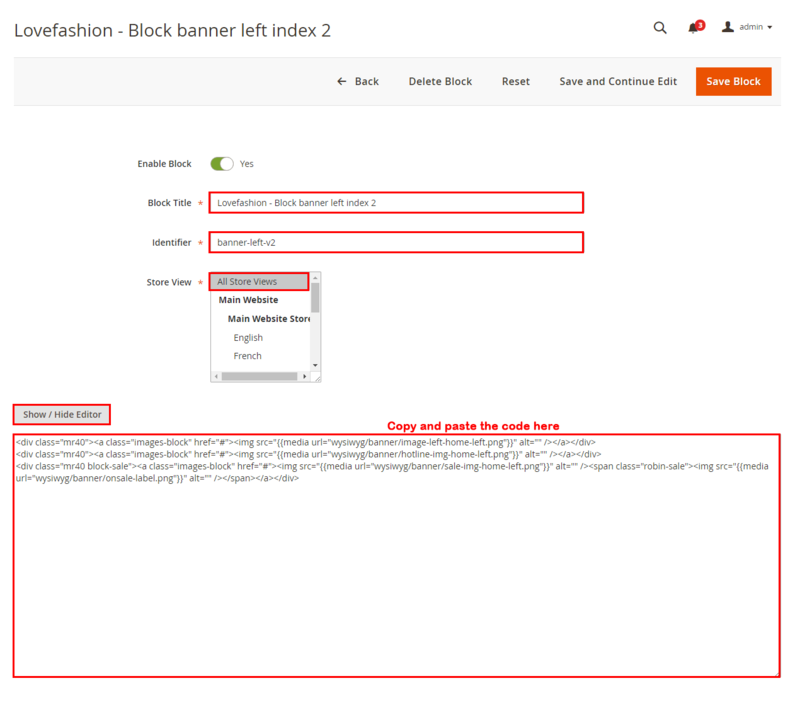 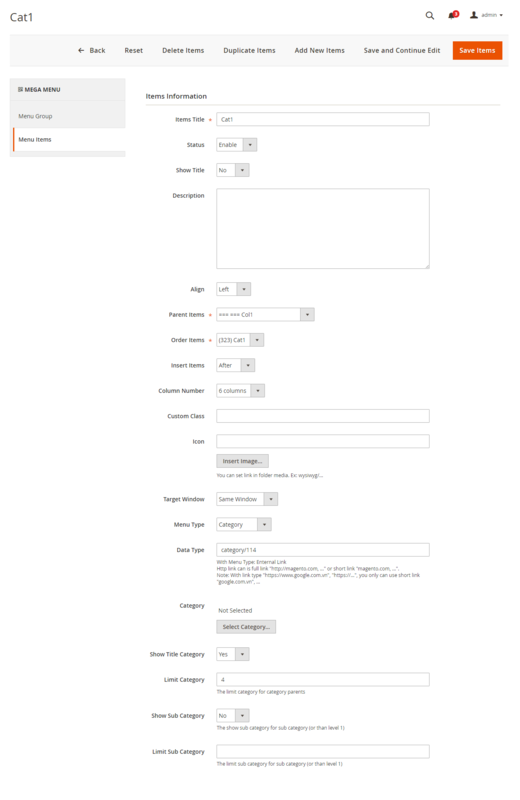 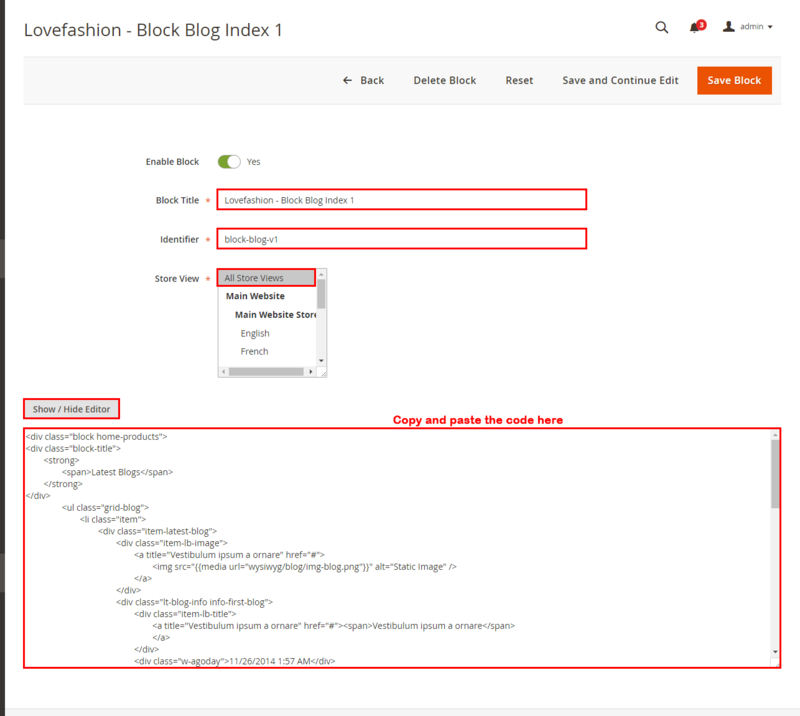 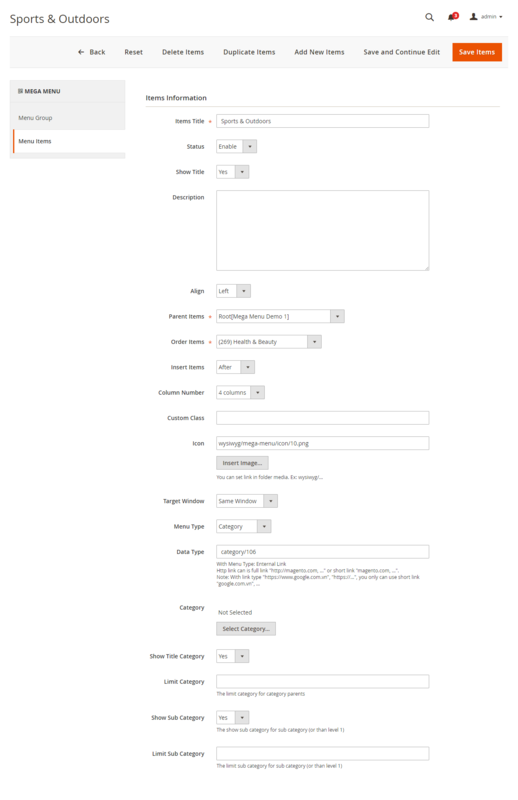 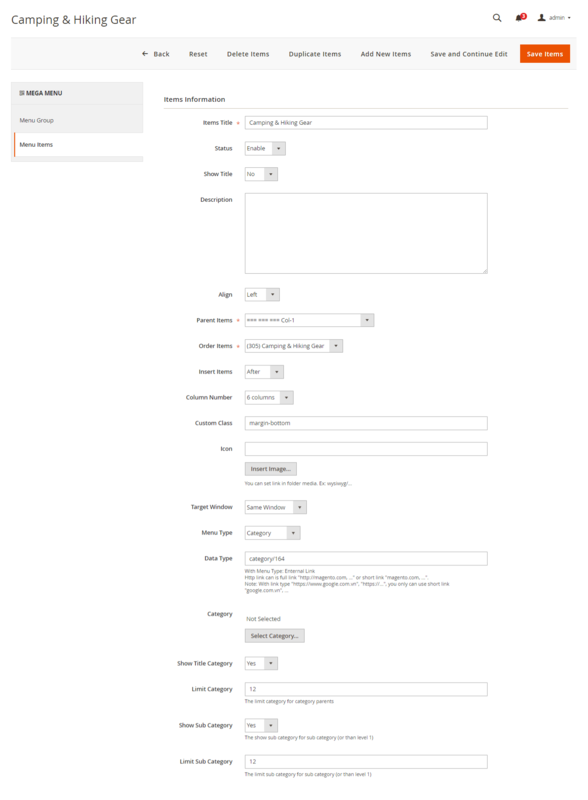 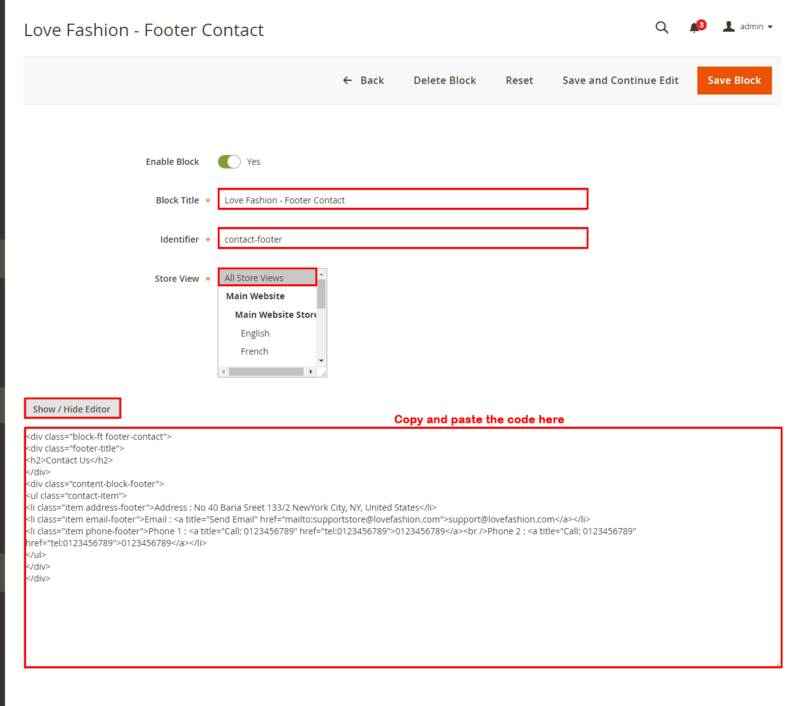 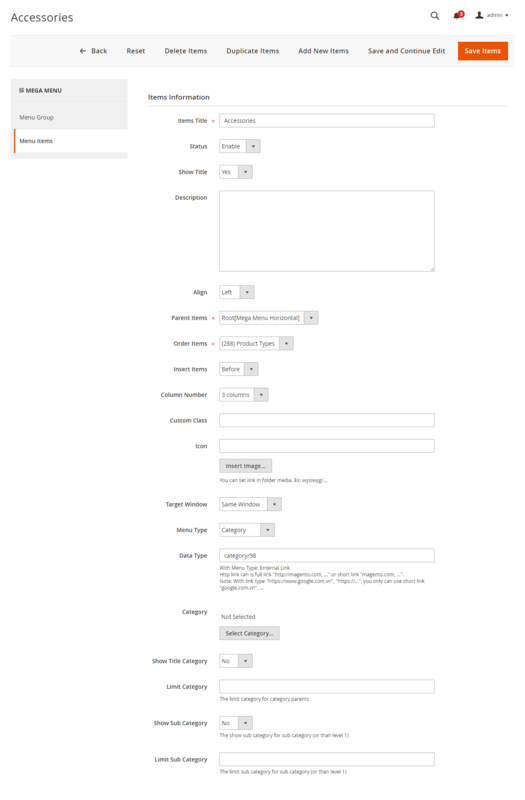 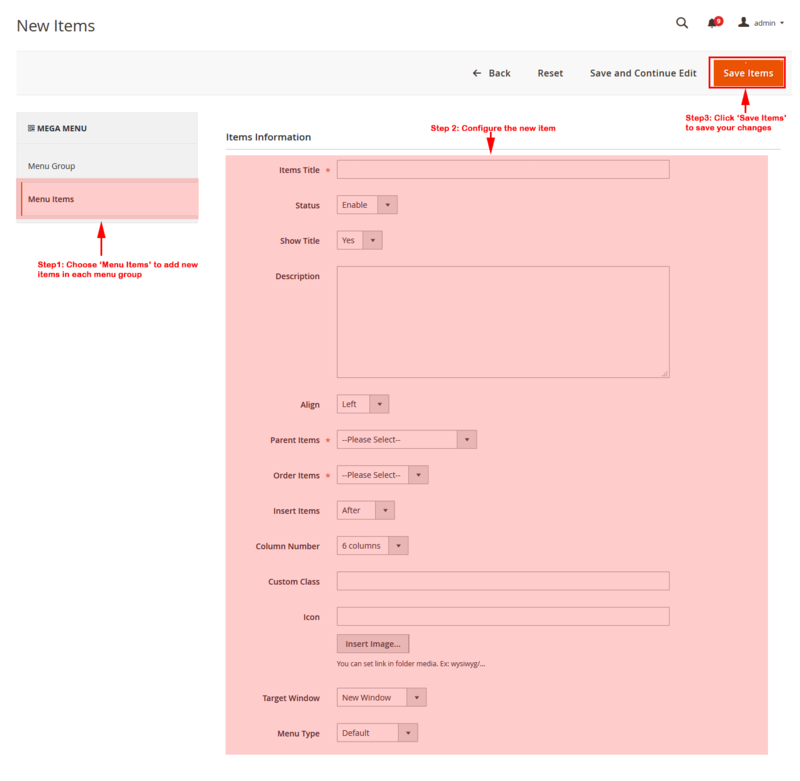 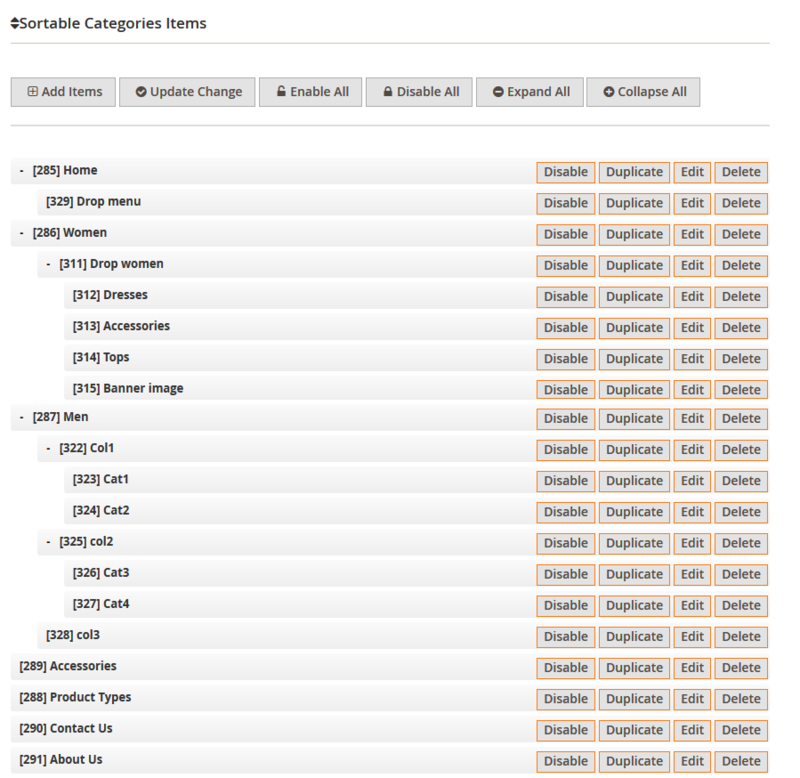 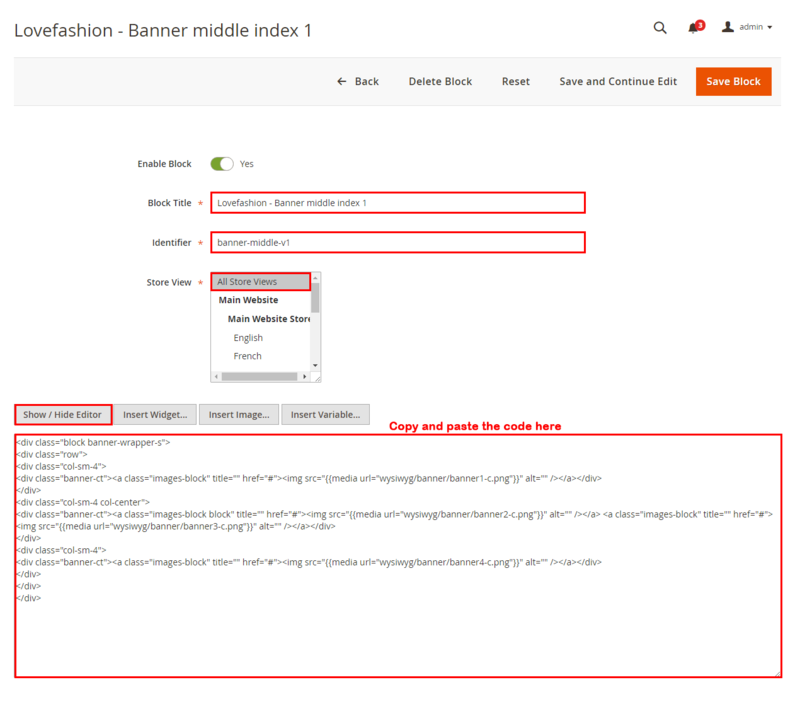 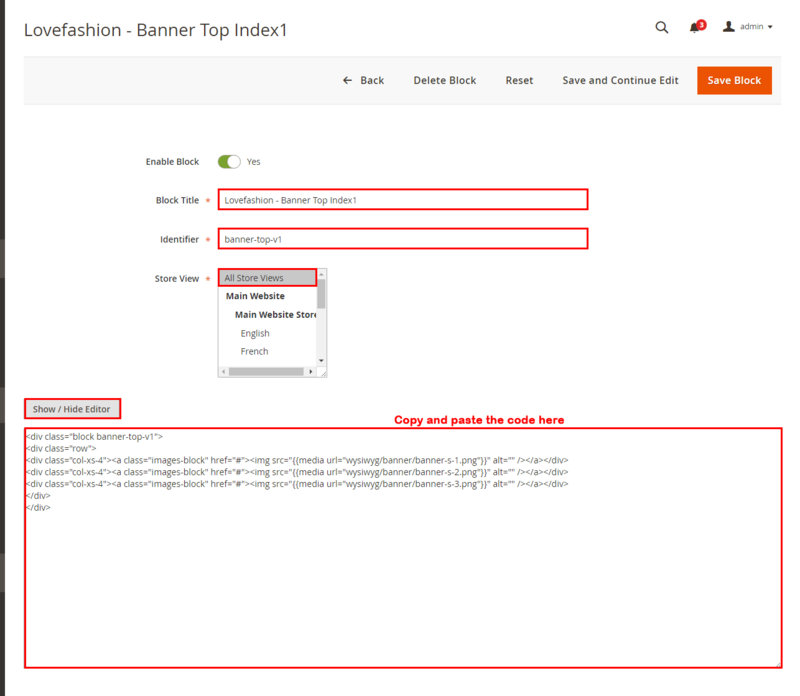 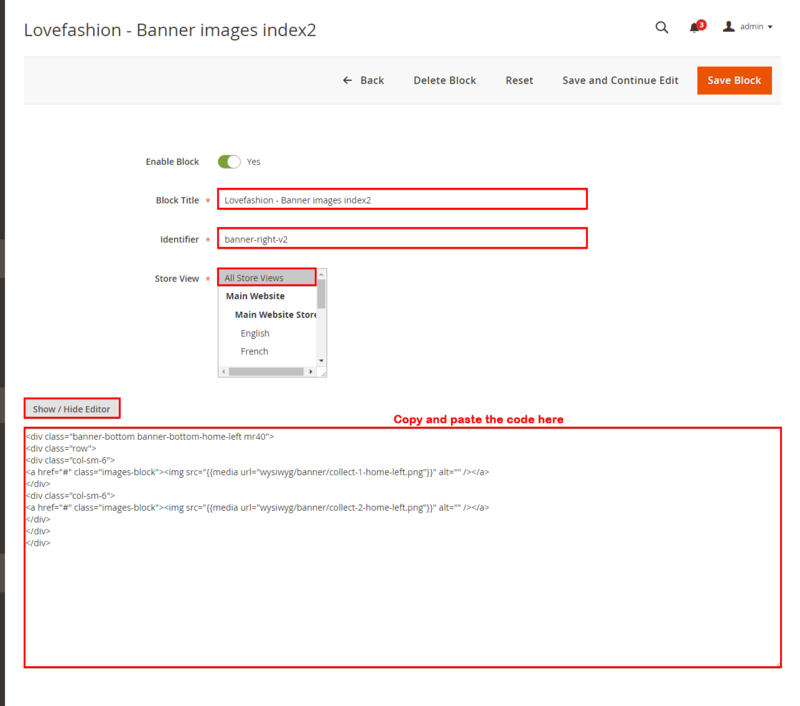 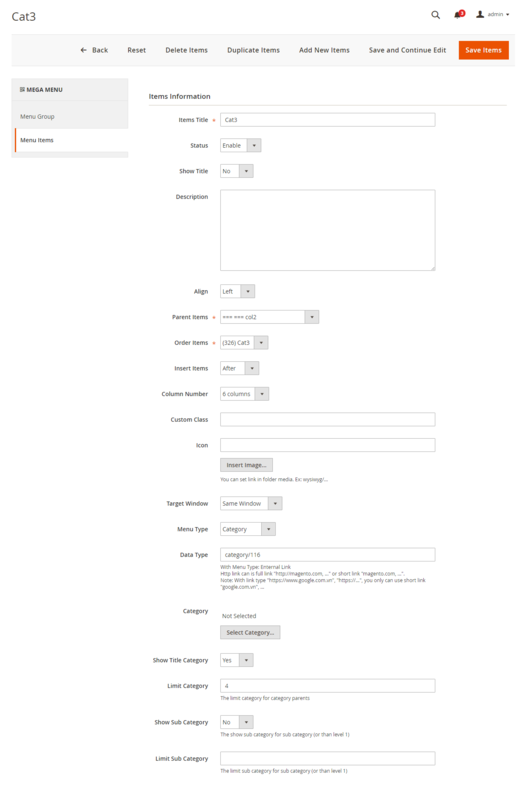 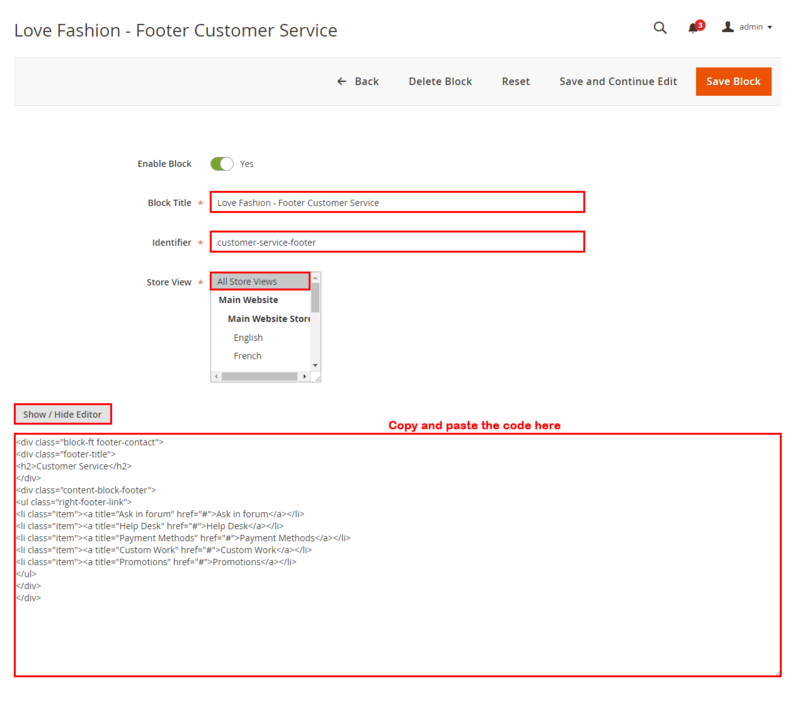 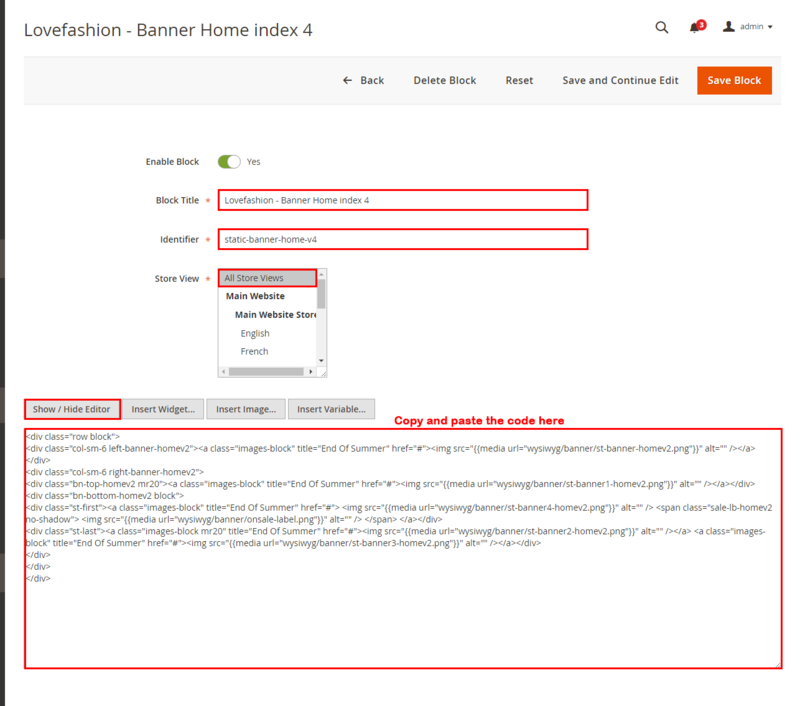 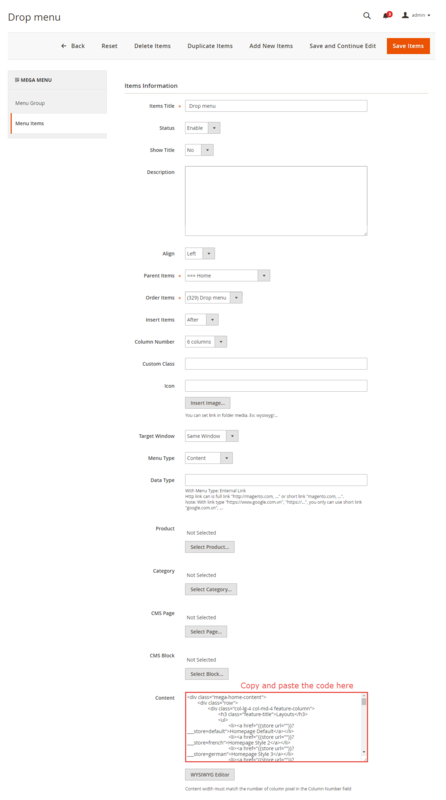 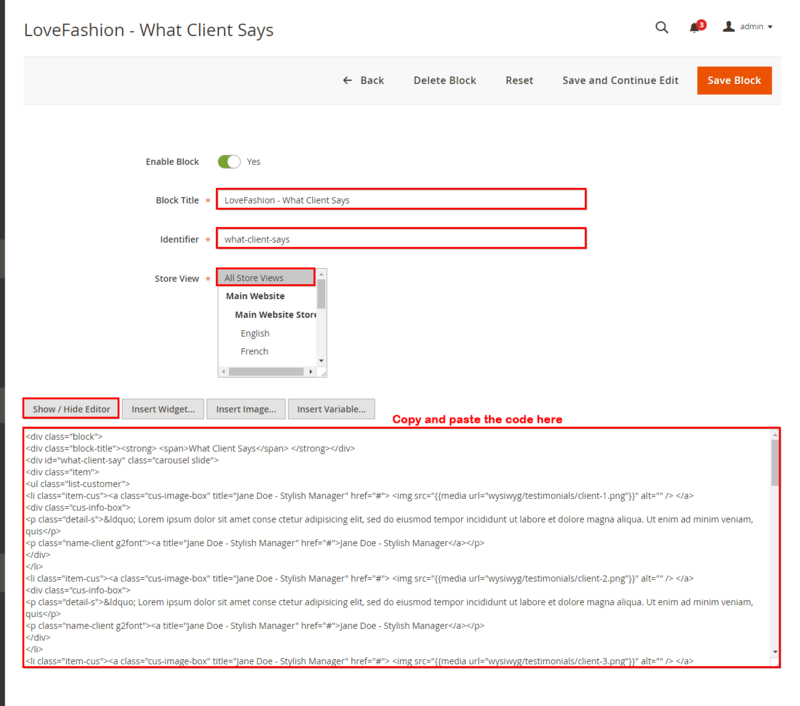 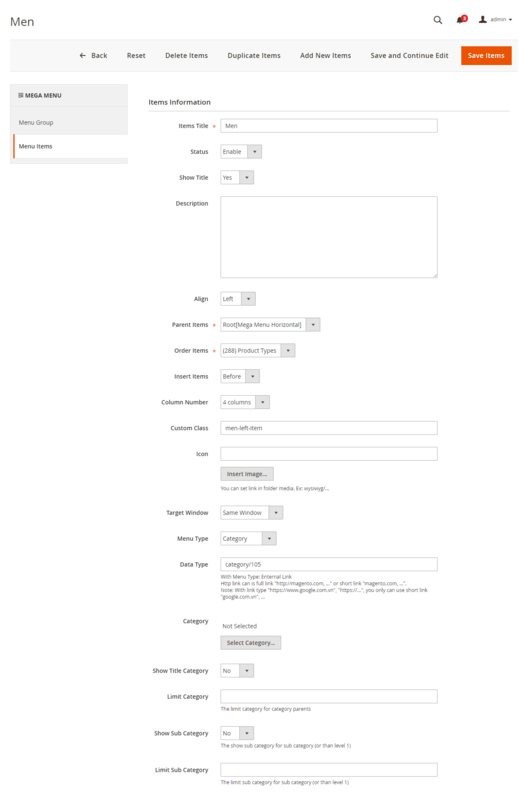 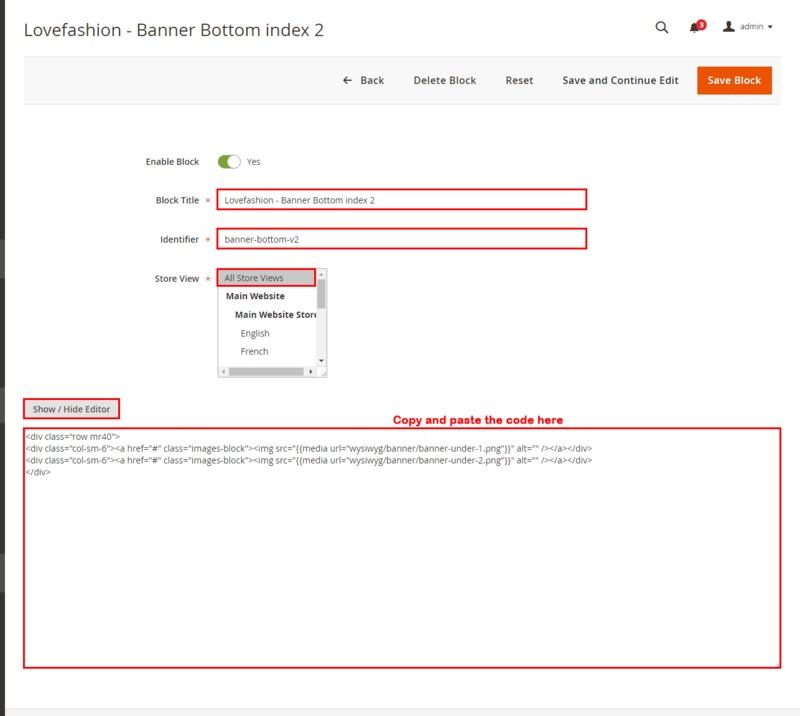 Step 5: Select “SM Lovefashion” theme in Content>> Design>> Configuration page for Magento 2.1 version. 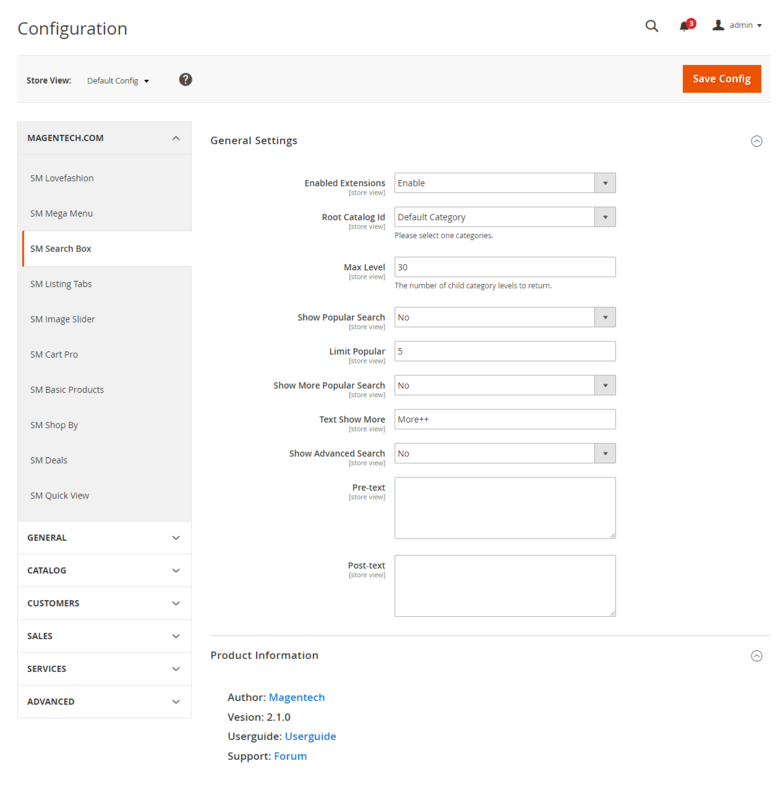 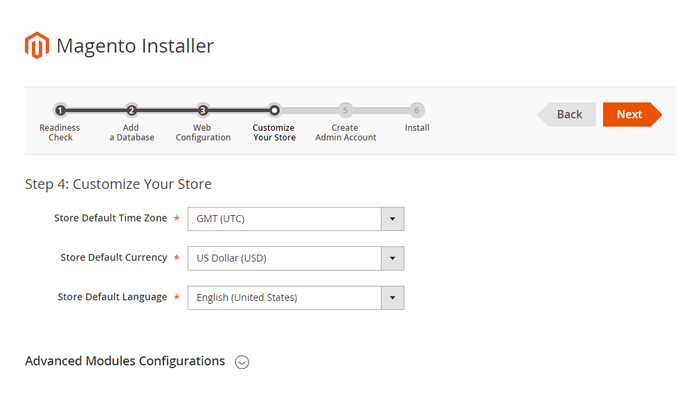 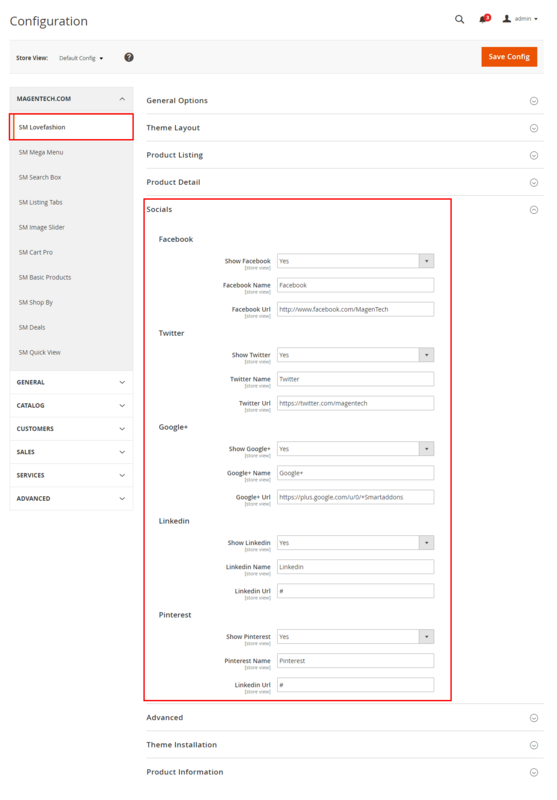 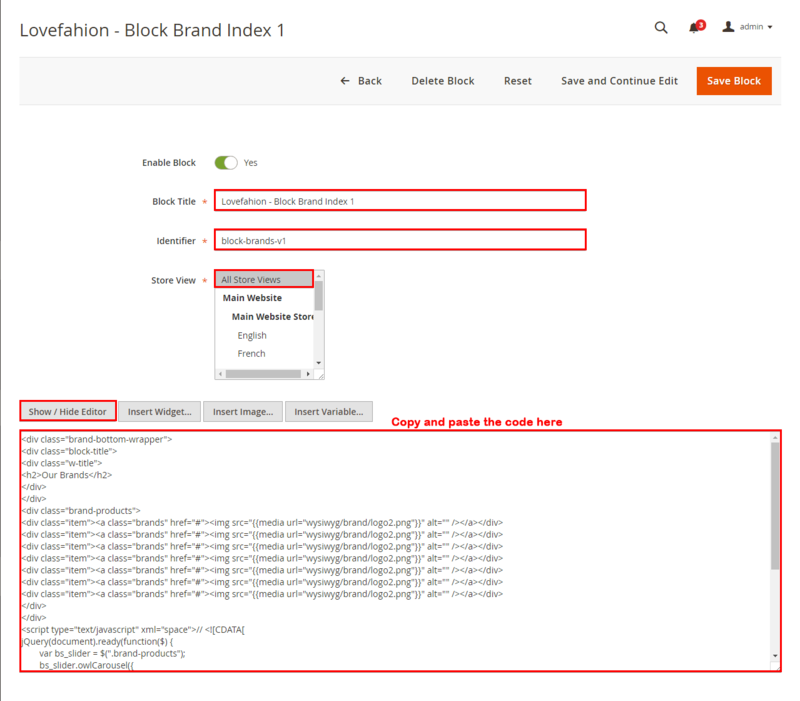 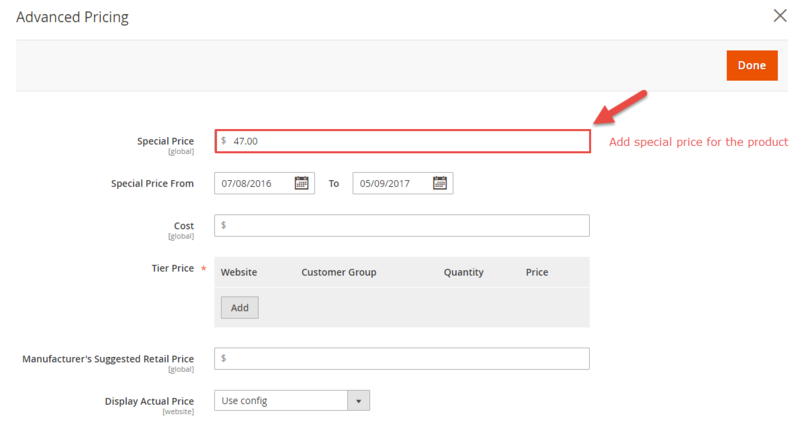 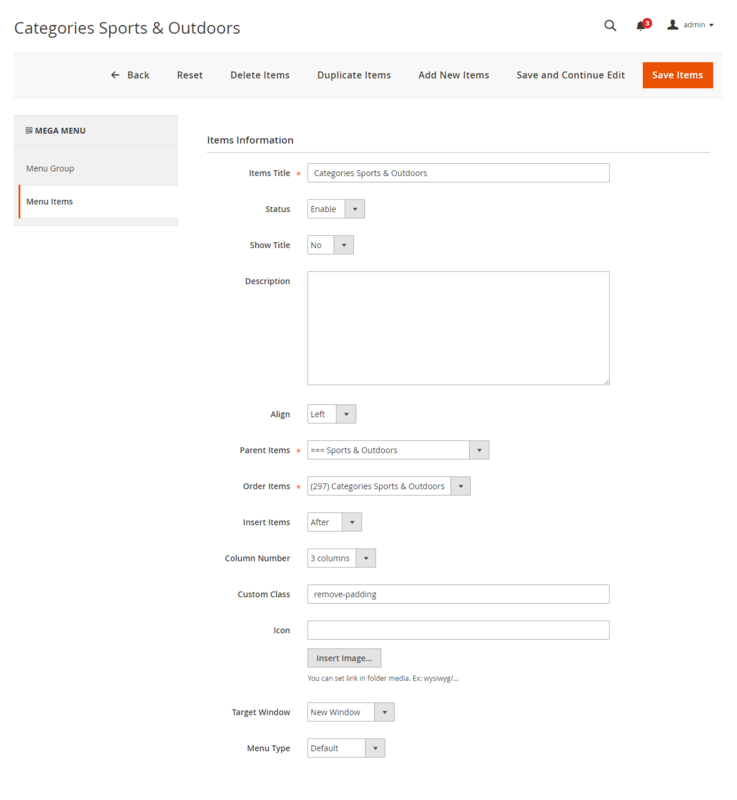 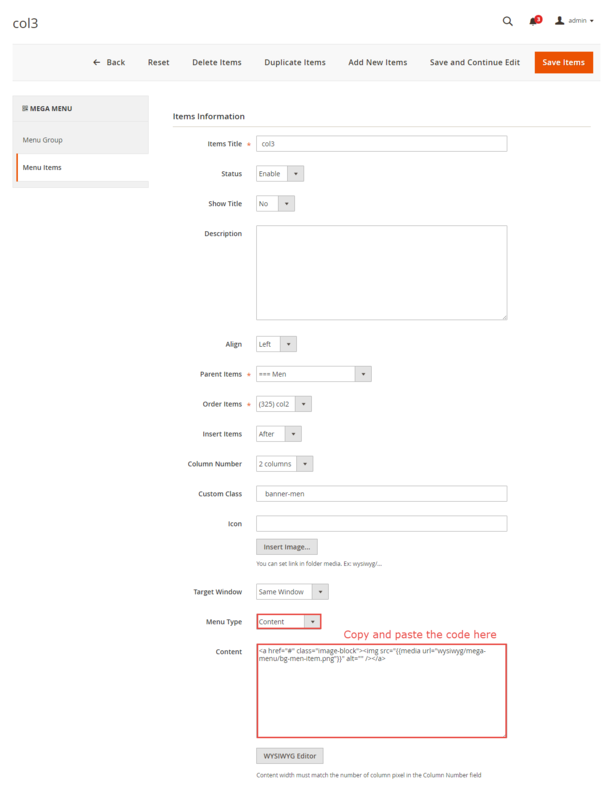 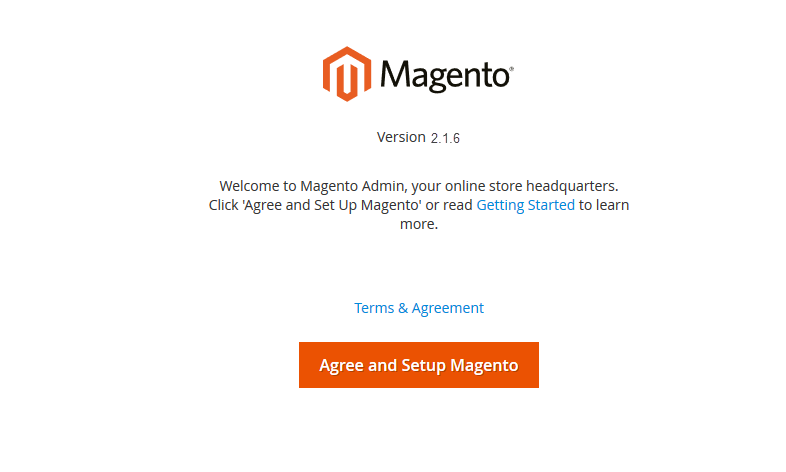 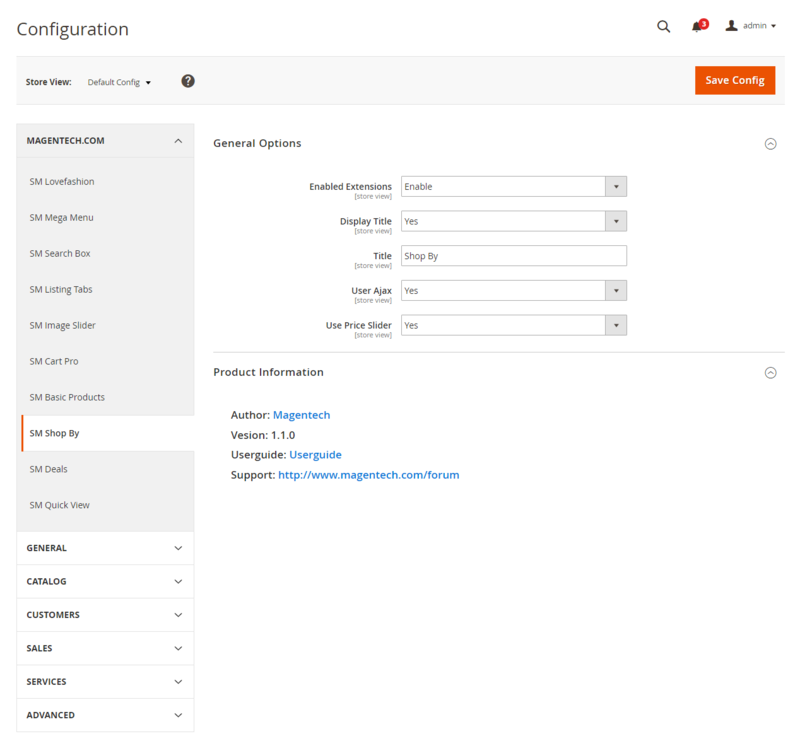 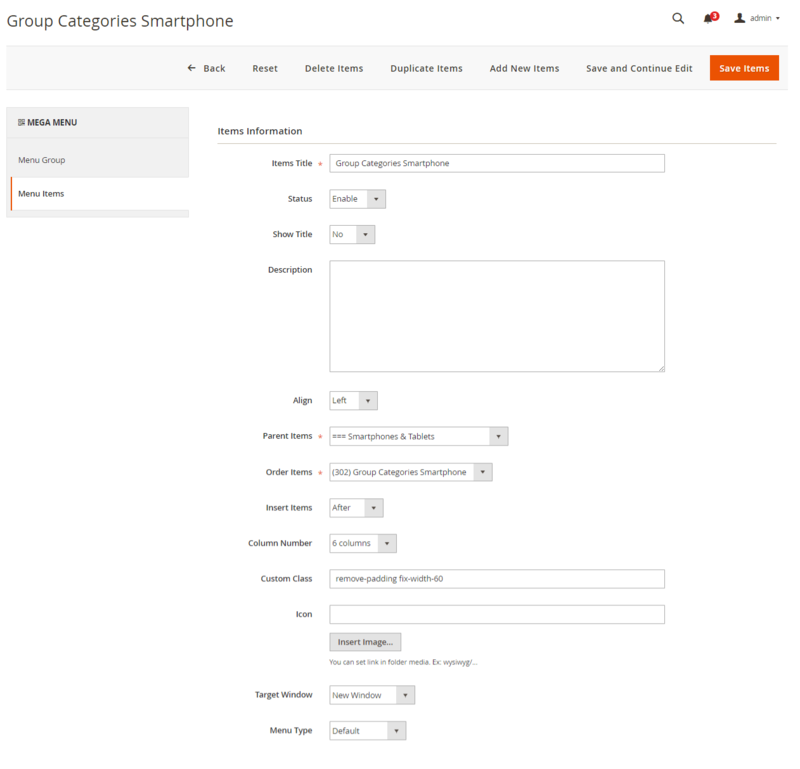 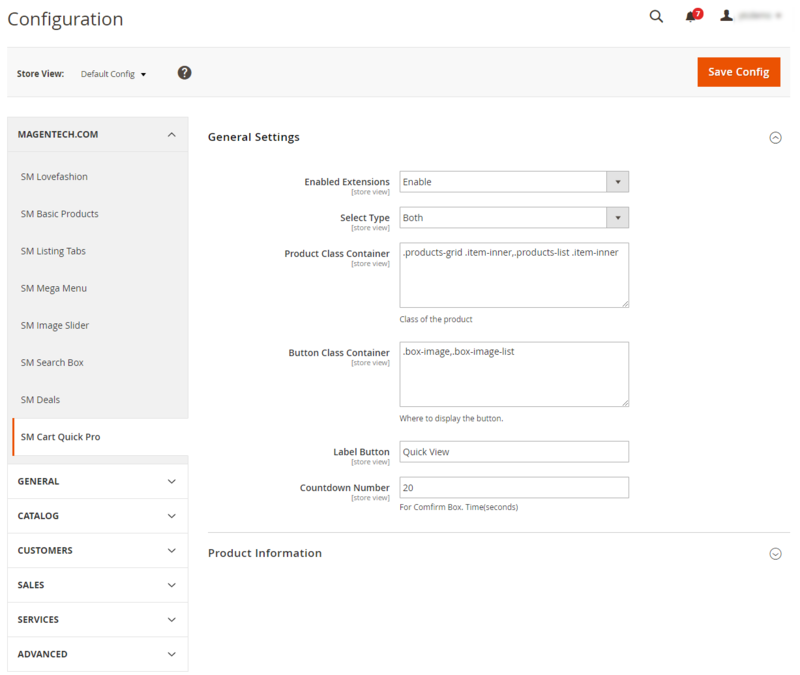 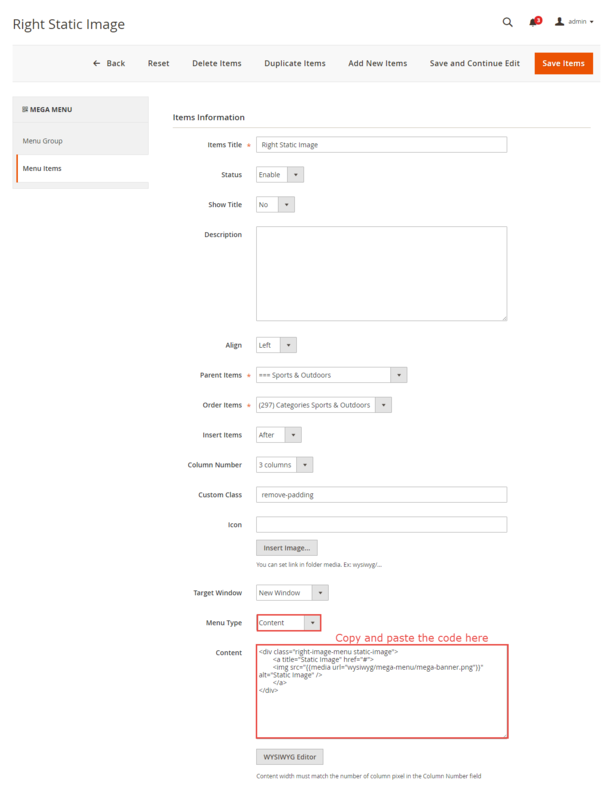 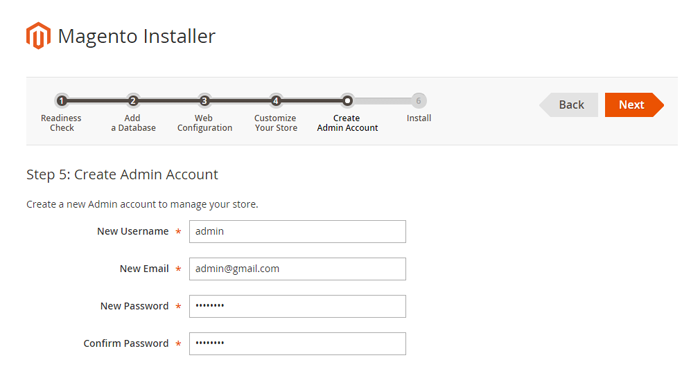 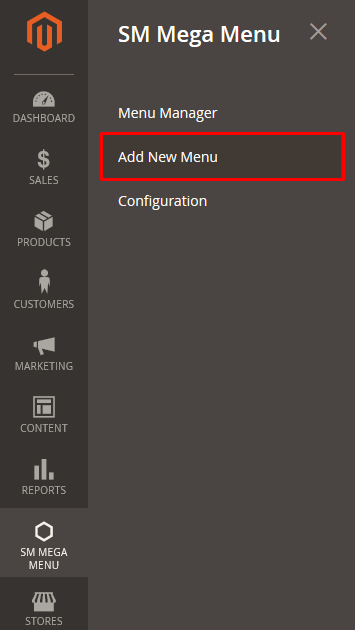 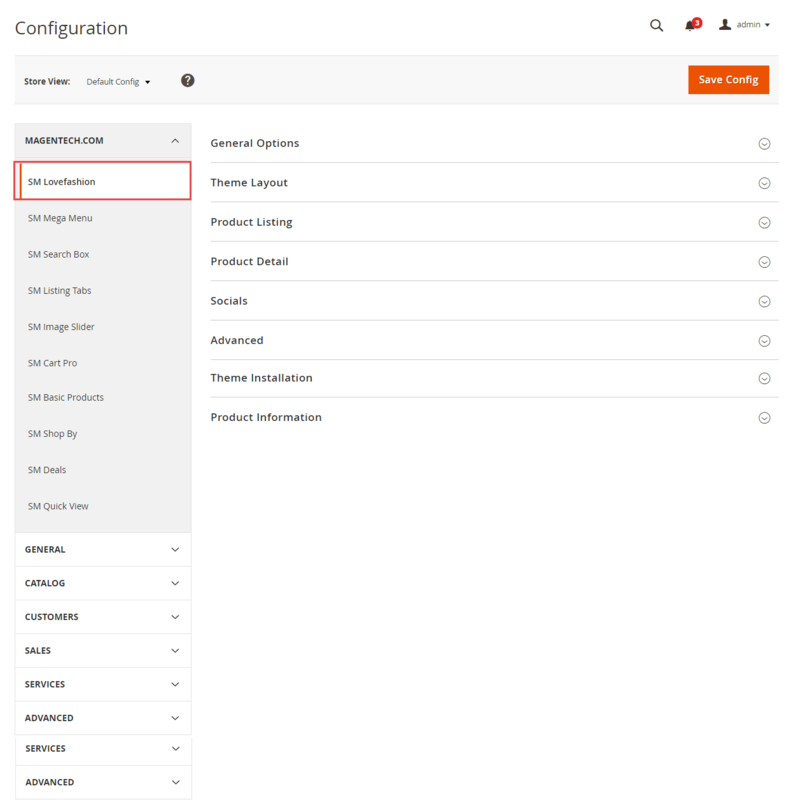 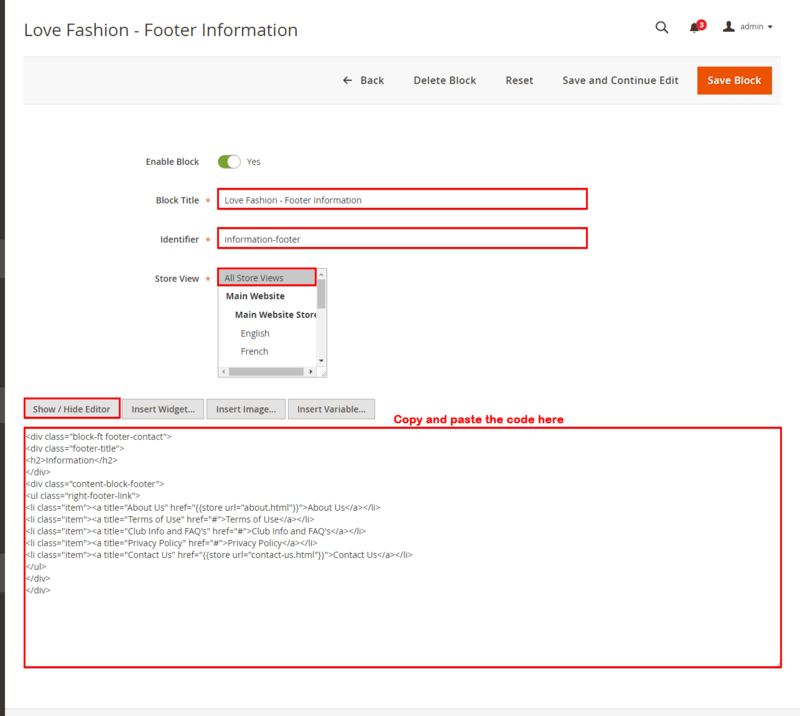 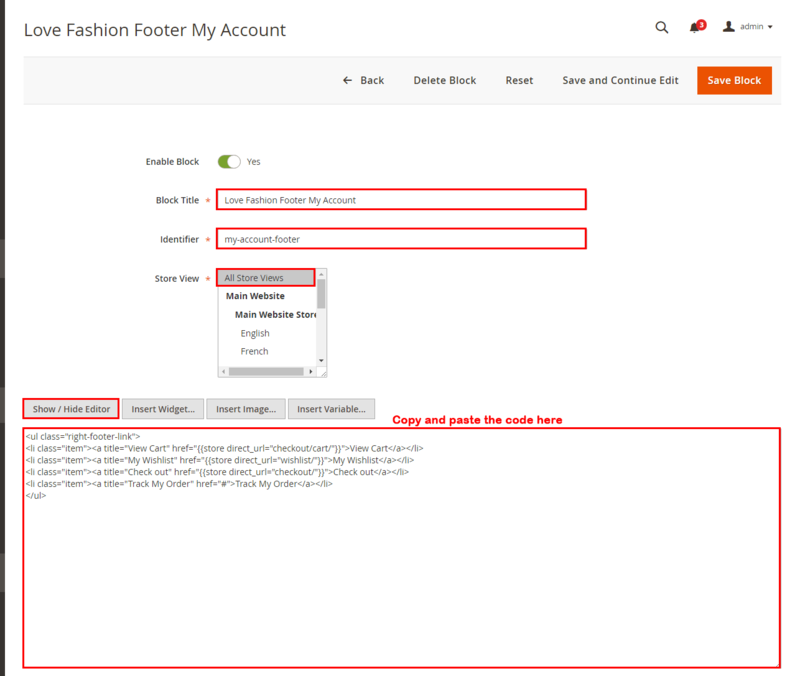 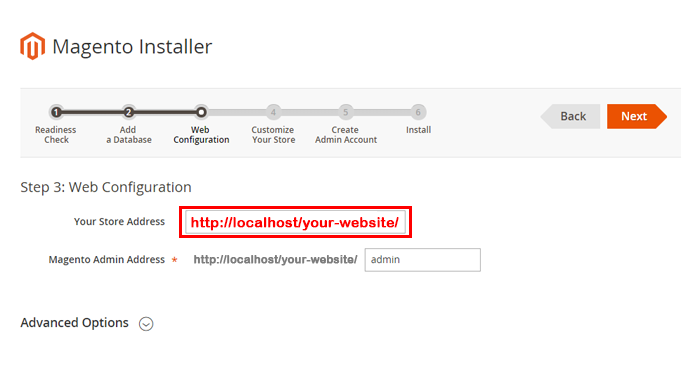 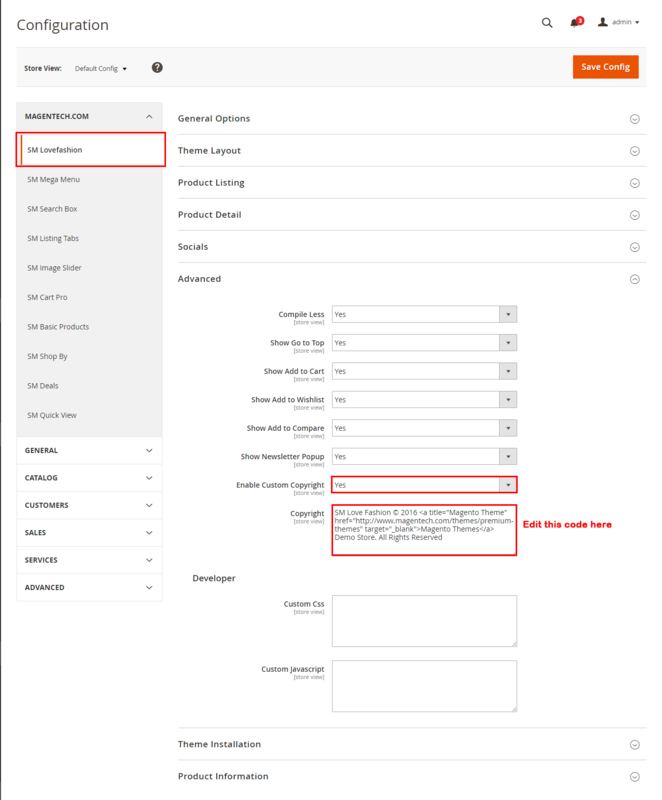 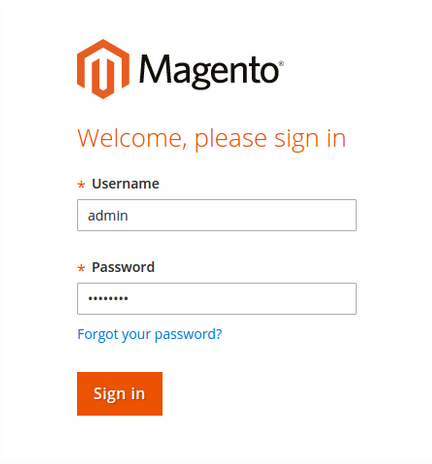 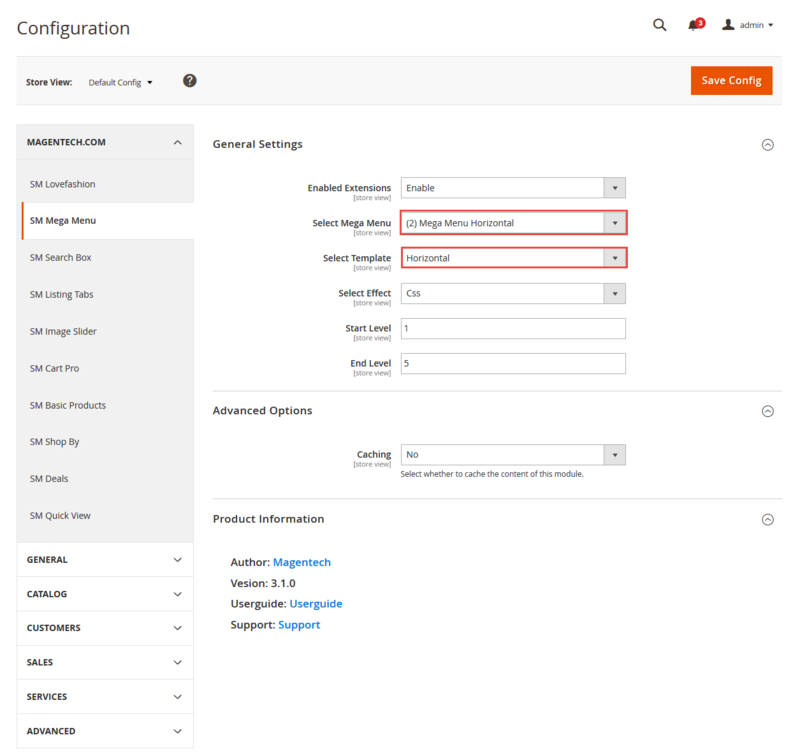 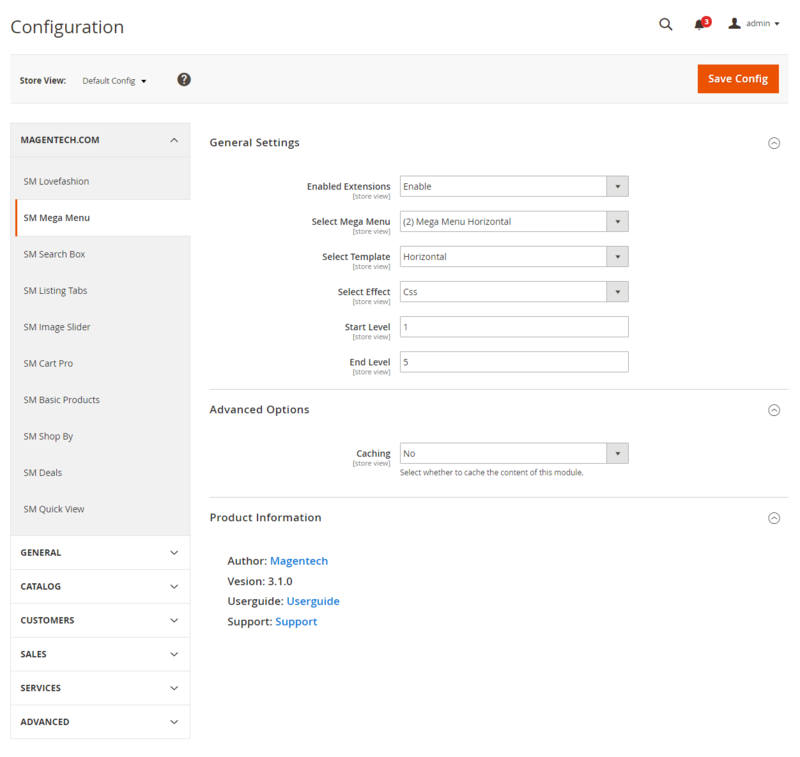 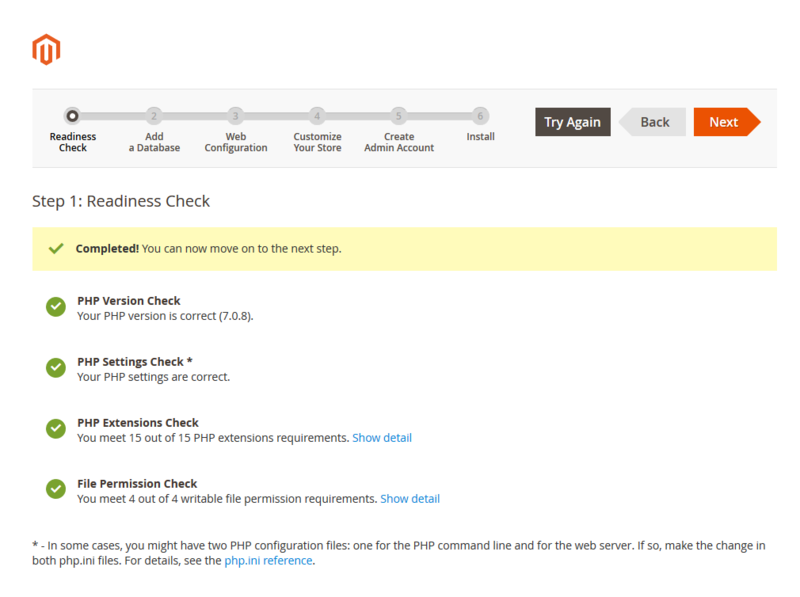 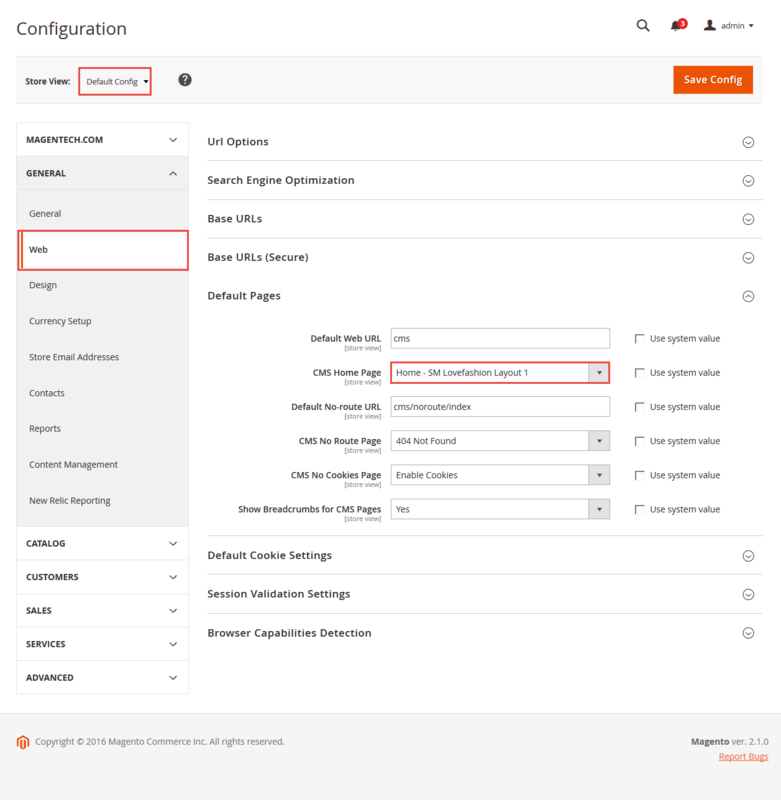 In Magento admin panel, navigate to Stores>> Settings>> Configuration >> MAGENTECH.COM >> SM Lovefashion and configure its settings as you want. 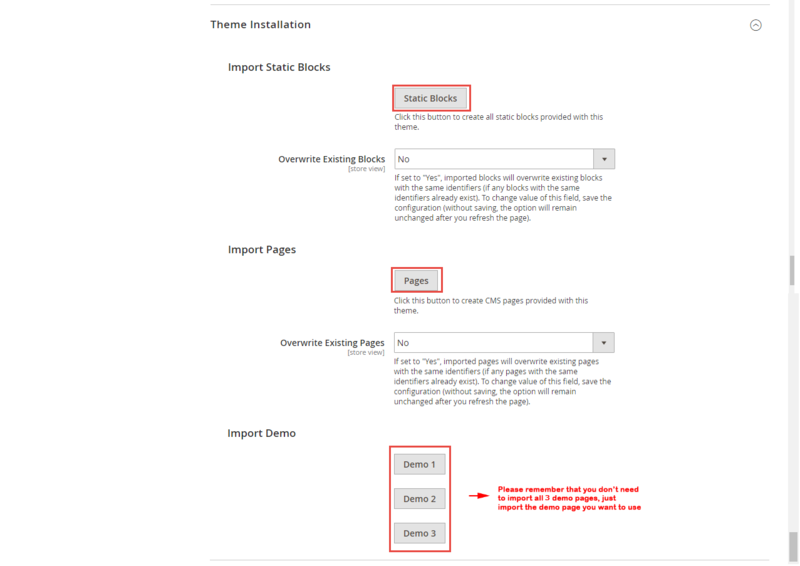 Note:In this panel, click Import Static Blocks, Pages and Demo to import all static blocks, CMS pages, and extensions’ configuration provided with this theme. 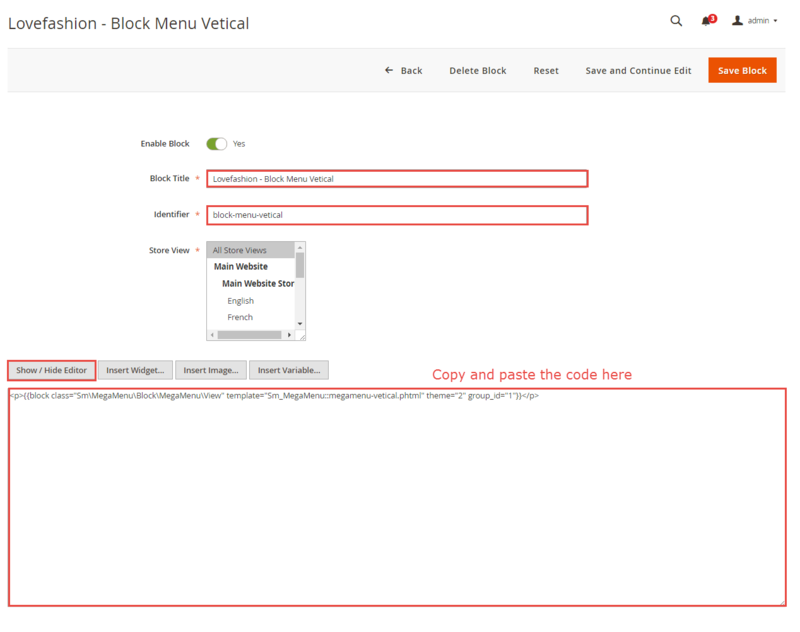 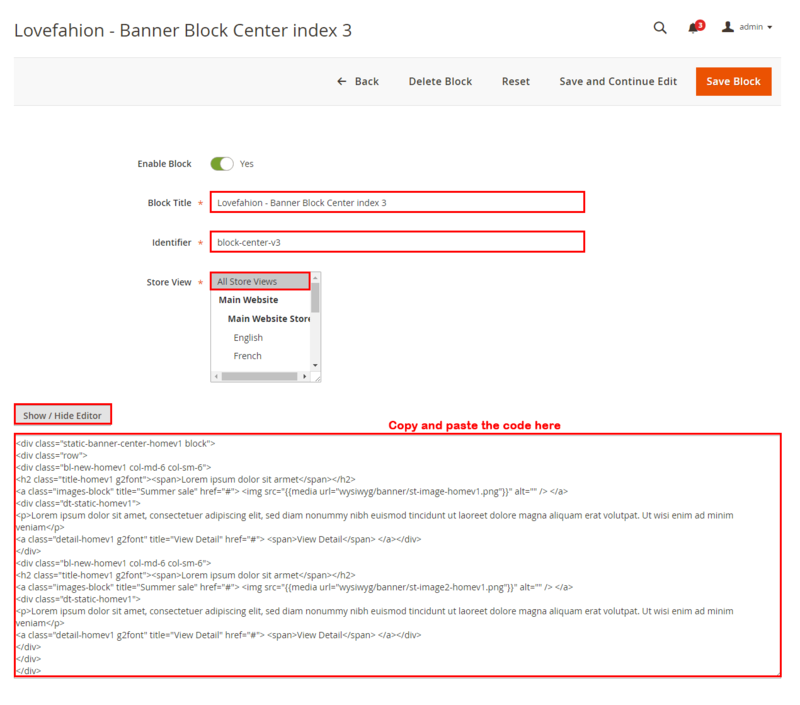 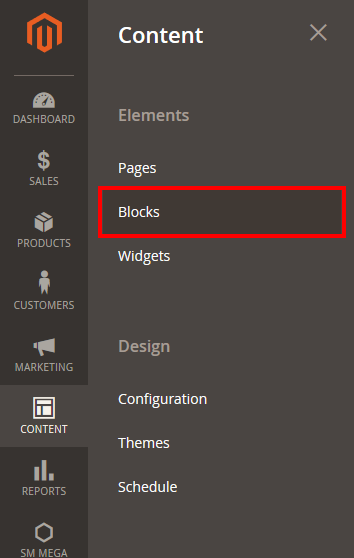 After importing, you need to go to Content >> Elements >> Blocks ( or Pages) to configure and remember to select Store View for each block or page. 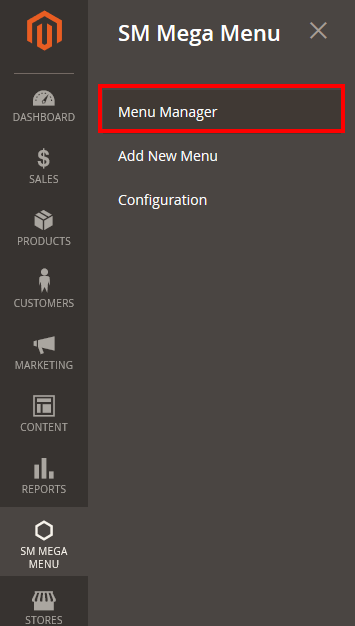 Backend of ‘Dropdown Menu’: Please click Here to view. 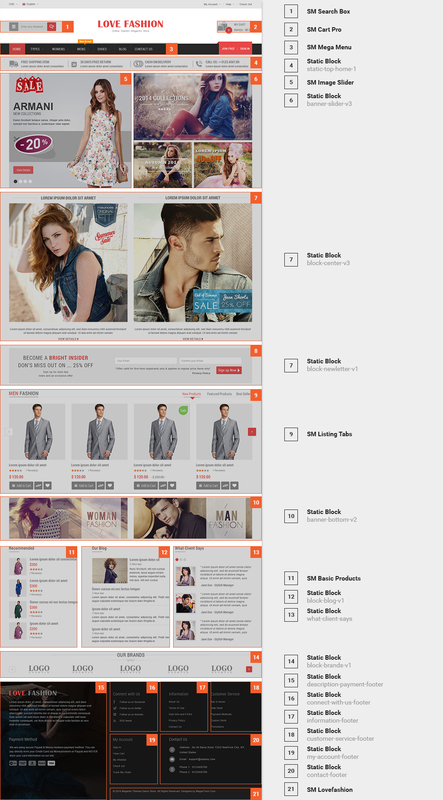 Backend of ‘Dropdown women’: Please click Here to view. 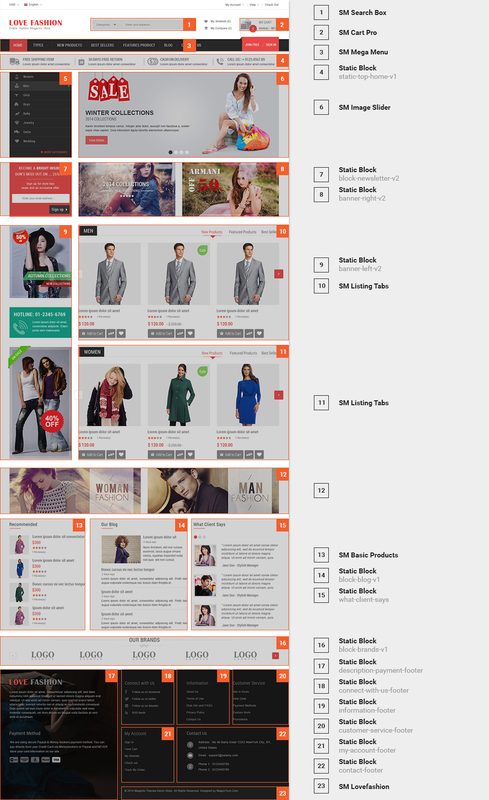 Backend of ‘Dresses’ in ‘Dropdown women’: Please click Here to view. 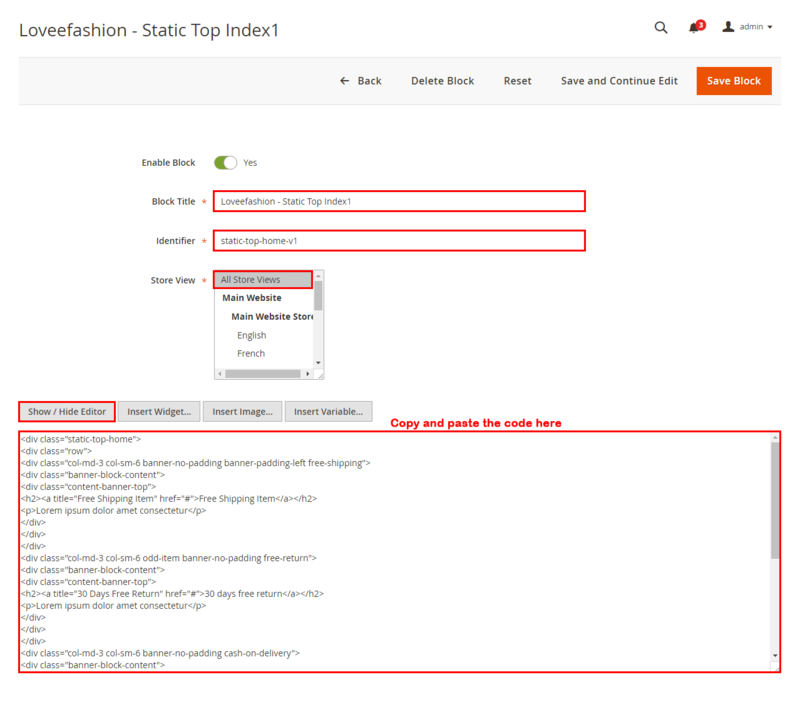 Note:The item named Accessories, Tops having same level as Dresses could have same configuration. 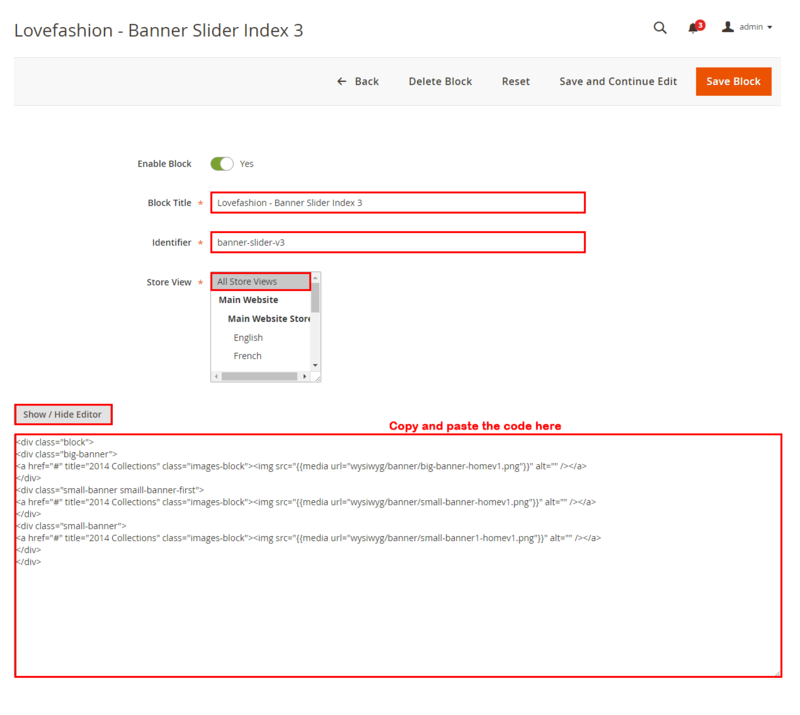 Backend of ‘Banner Image’: Please click Here to view. 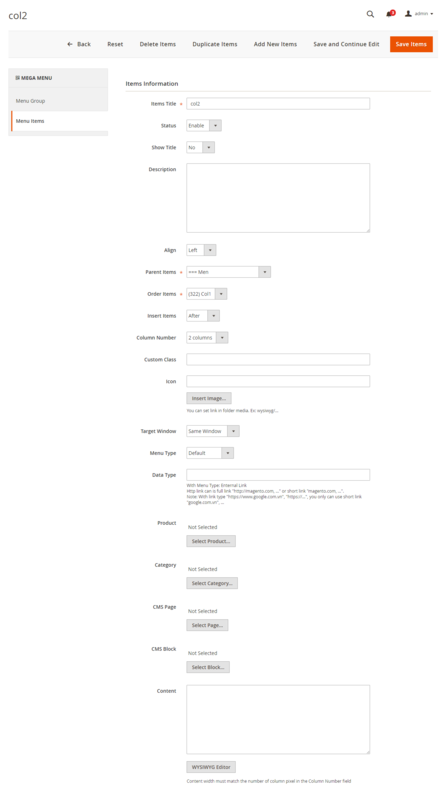 Backend of ‘Col1′: Please click Here to view. 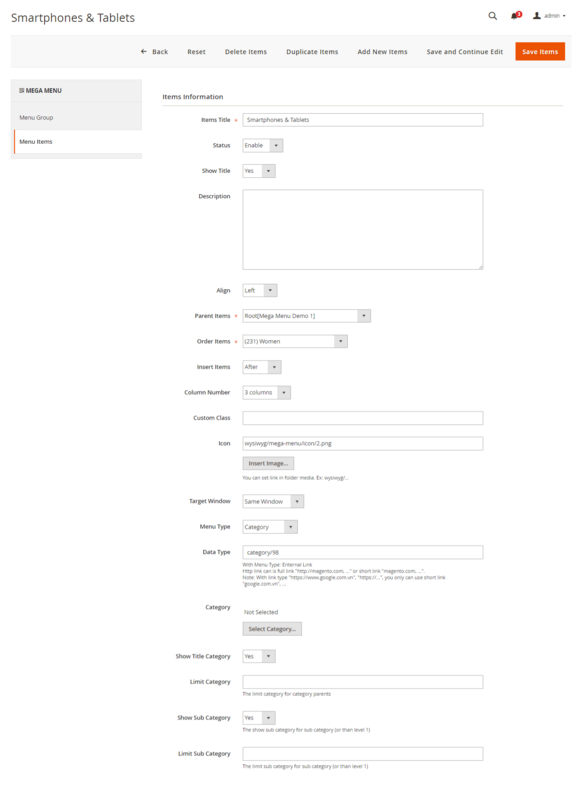 Backend of ‘Cat1′ in ‘Col1′: Please click Here to view. 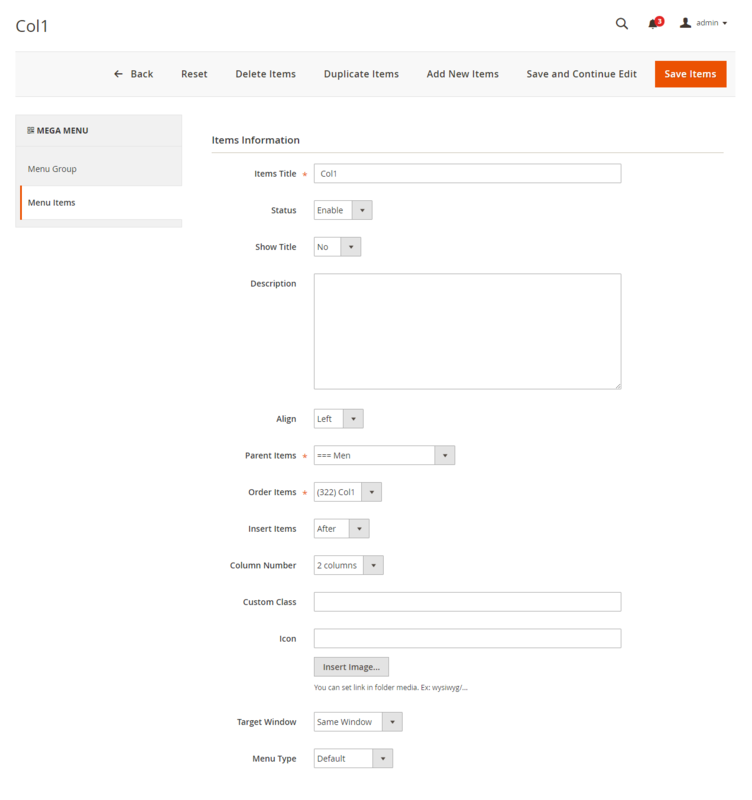 Note:The item named Cat2 having same level as Cat1 could have same configuration. 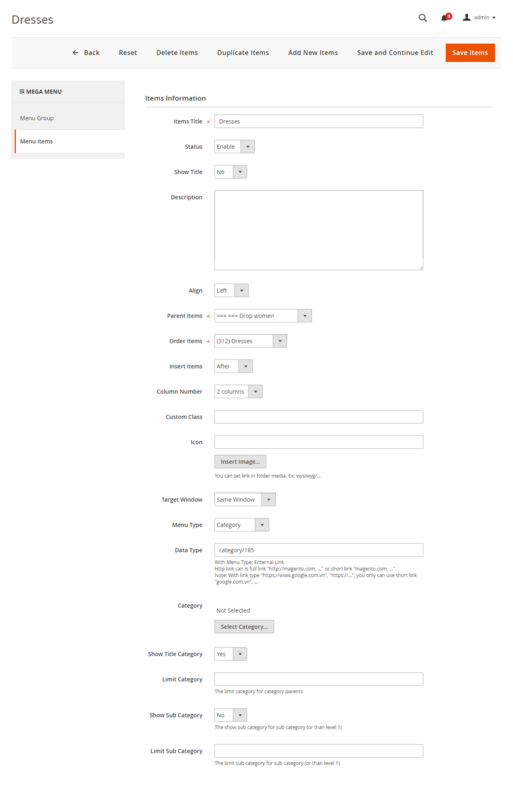 Backend of ‘Col2′: Please click Here to view. 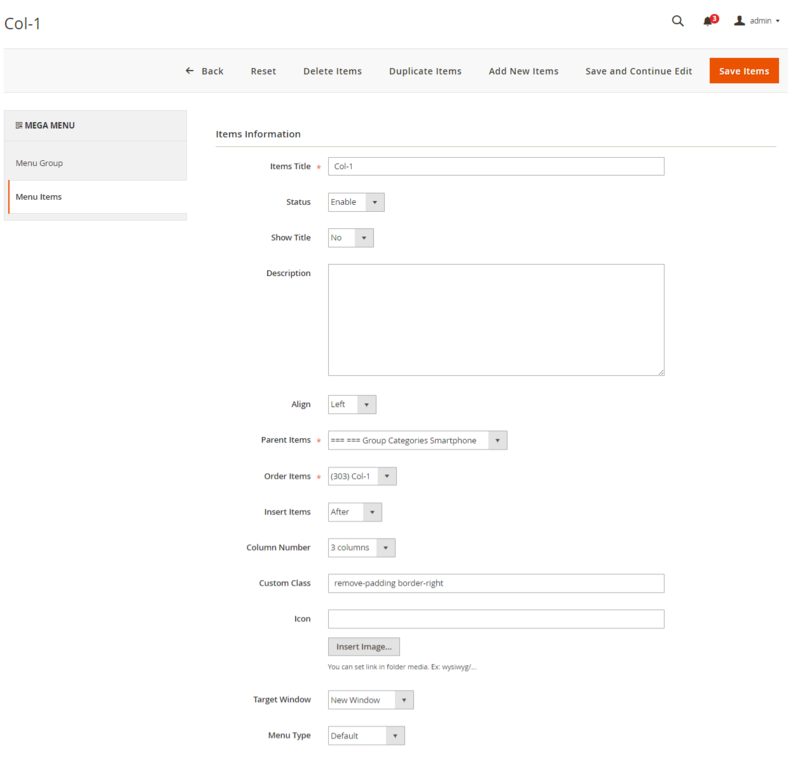 Backend of ‘Cat3′ in ‘Col2′: Please click Here to view. 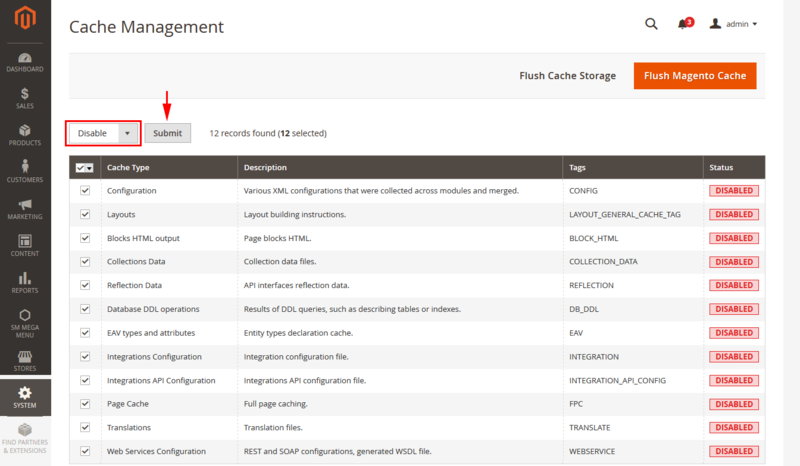 Note:The item named Cat4 having same level as Cat1 could have same configuration. 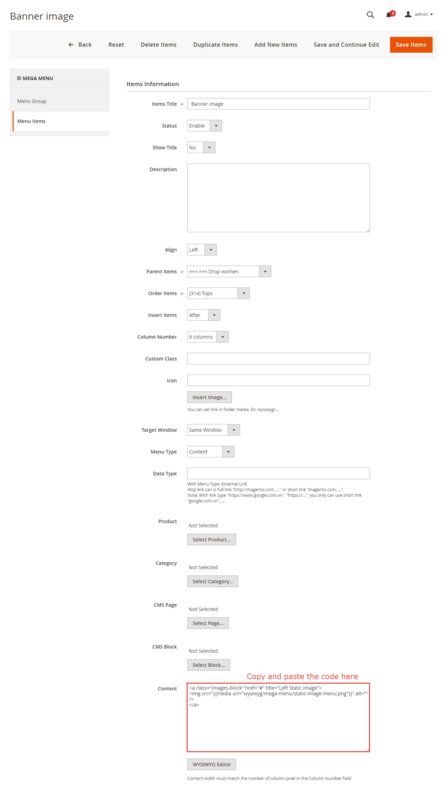 Backend of ‘Col3′: Please click Here to view. 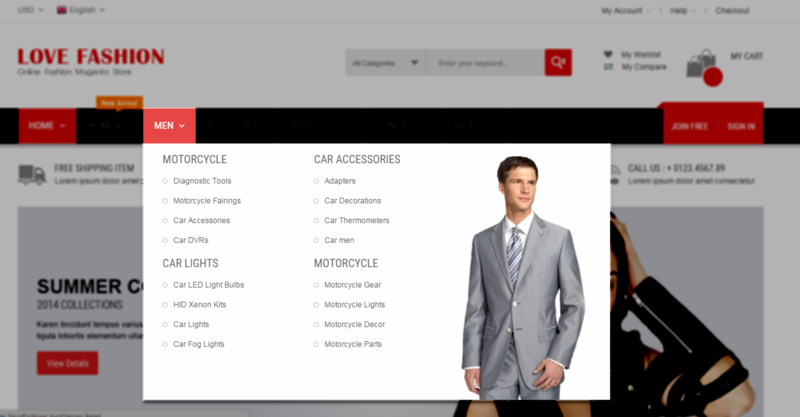 Note:The item named Product Types, Contact us, About Us,having same level as Accessories could have same configuration. 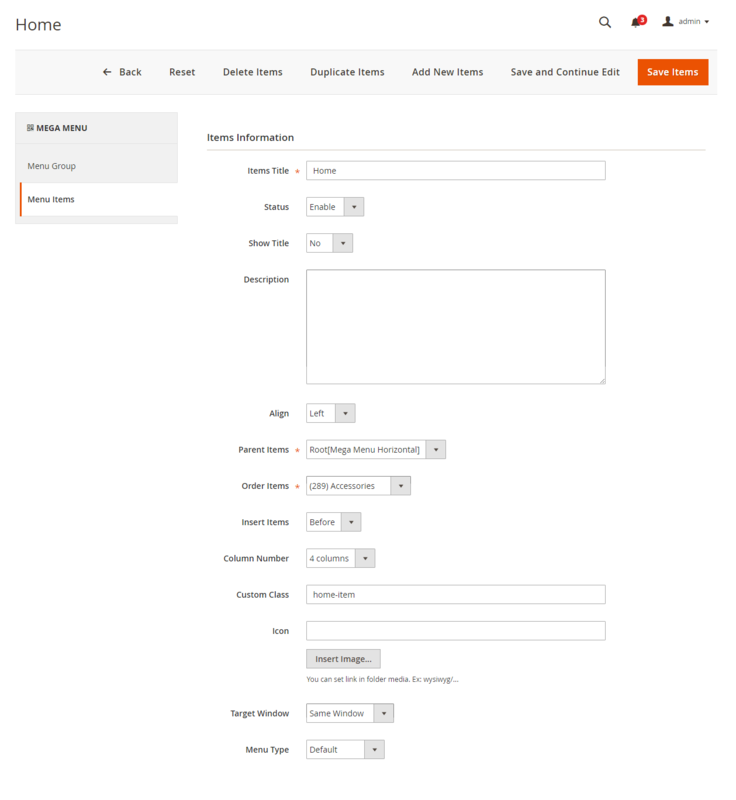 Backend of ‘Group Categories Sports & Outdoors’: Please click Here to view. 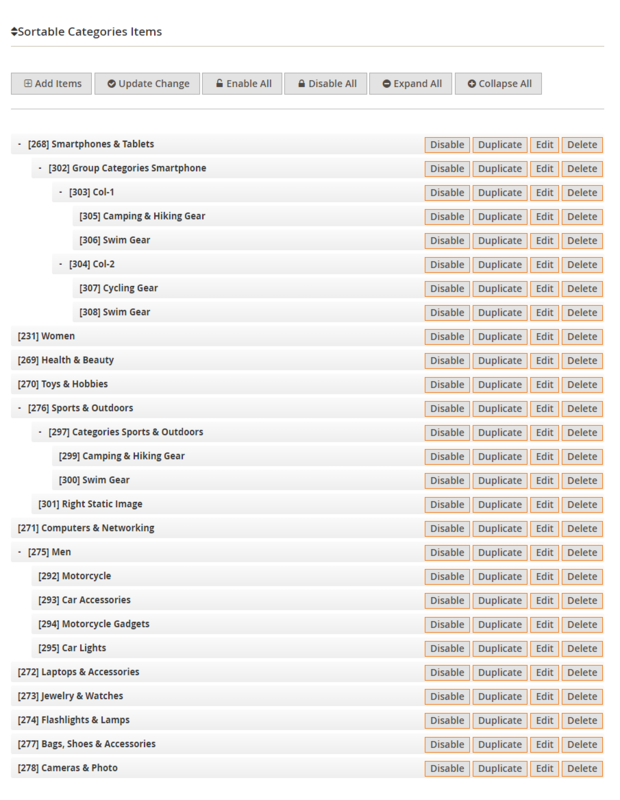 Backend of ‘Camping & Hiking Gear’ in ‘Group Categories Sports & Outdoors’: Please click Here to view. 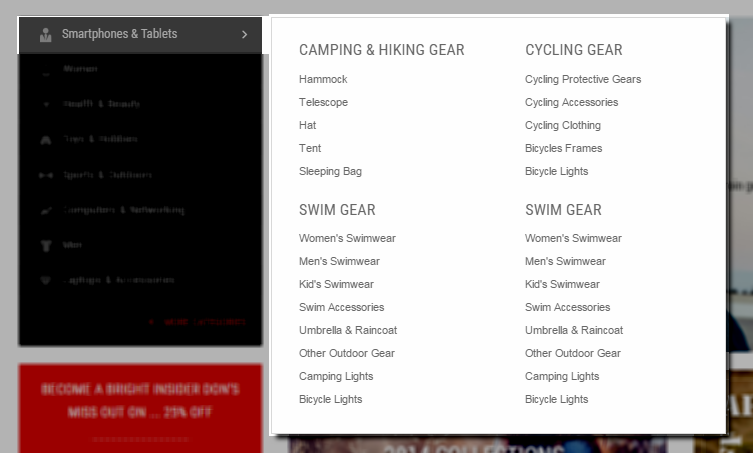 Note: Item Swim Gear having same level would have same configuration as Camping & Hiking Gear. 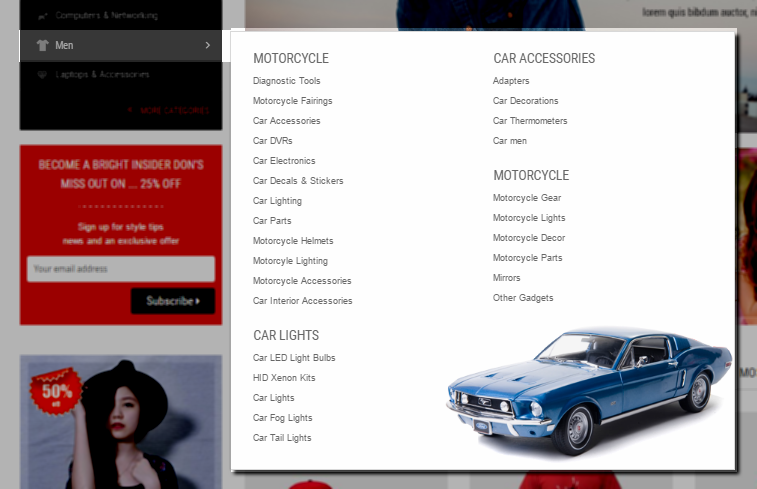 Note: Other items having same level as Motorcycle would have same configuration. 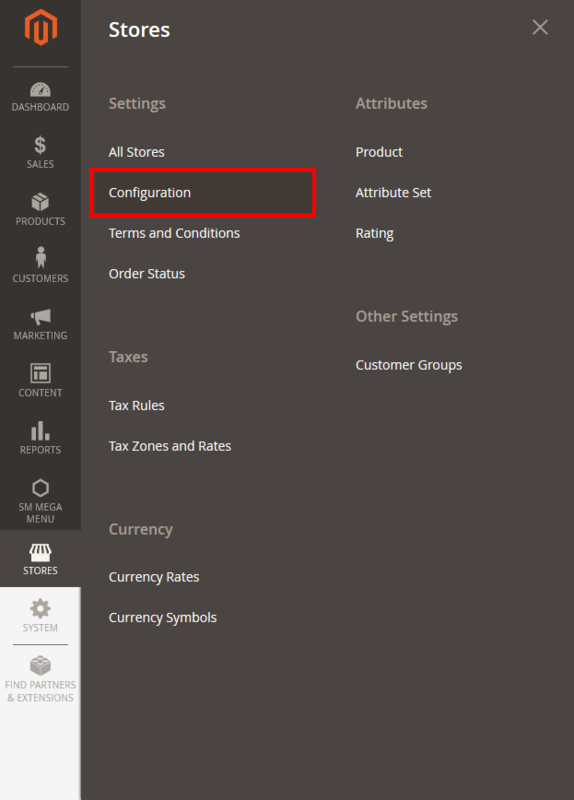 When you go to the Product Types page, you will see the module on the left side of the page. 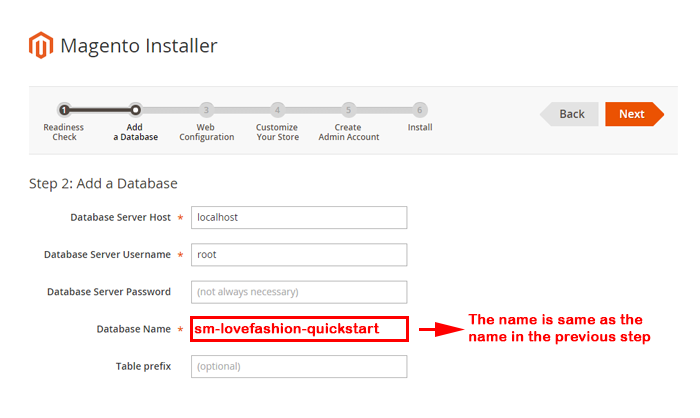 In SM Lovefashion Administration Page, please navigate to Stores>> Settings>> Configuration >> MAGENTECH.COM >> SM Lovefashion >> Advanced to configure this theme’s copyright. 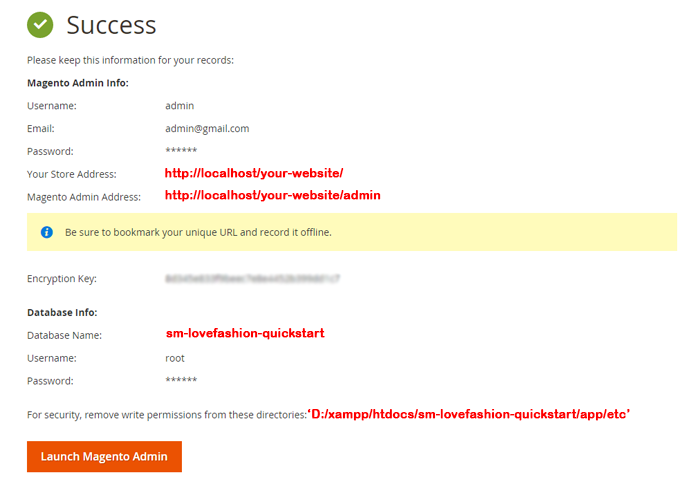 In SM Lovefashion Administration Page, please navigate to Stores>> Settings >> Configuration >> MAGENTECH.COM >> SM Lovefashion >> Socials. 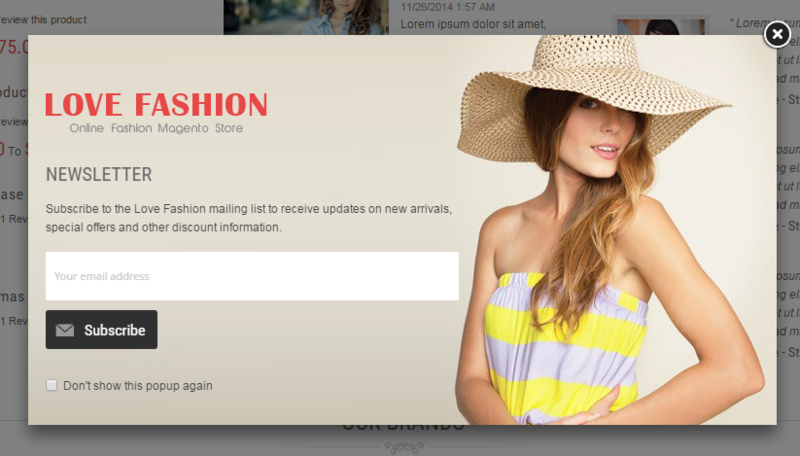 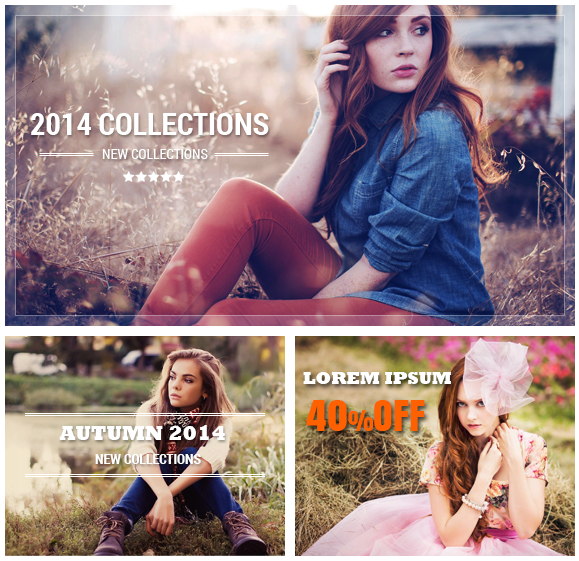 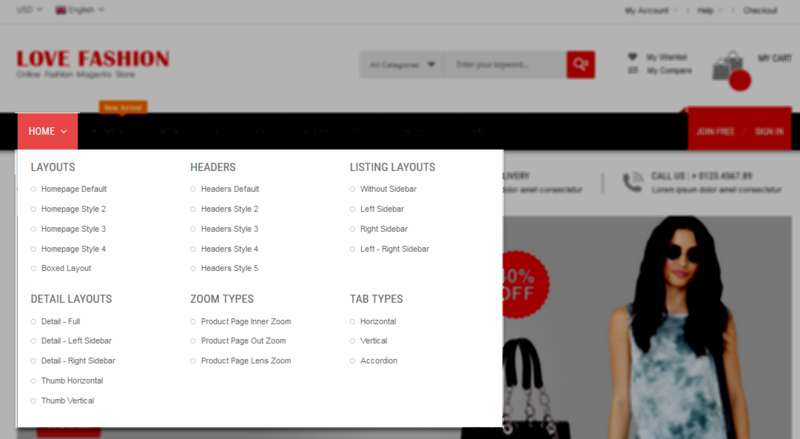 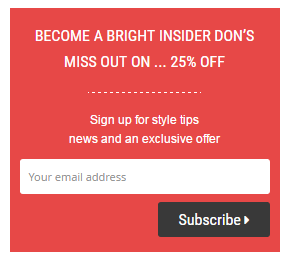 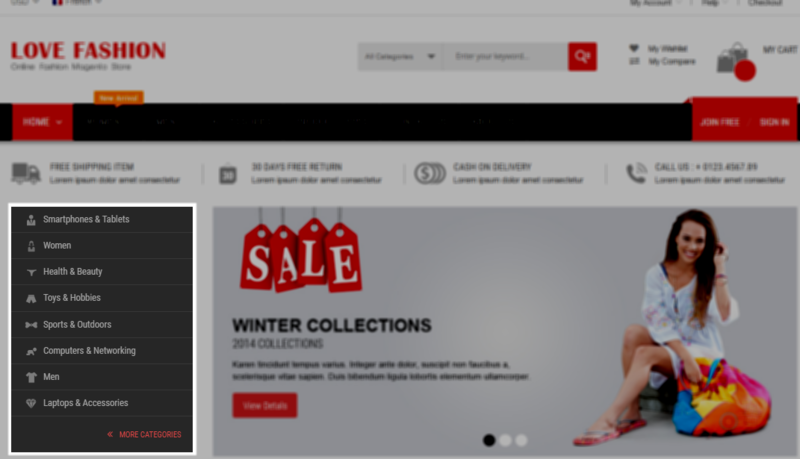 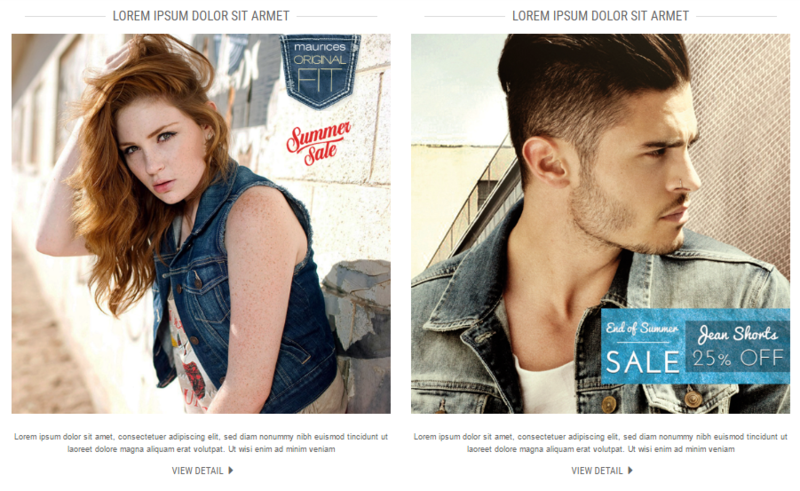 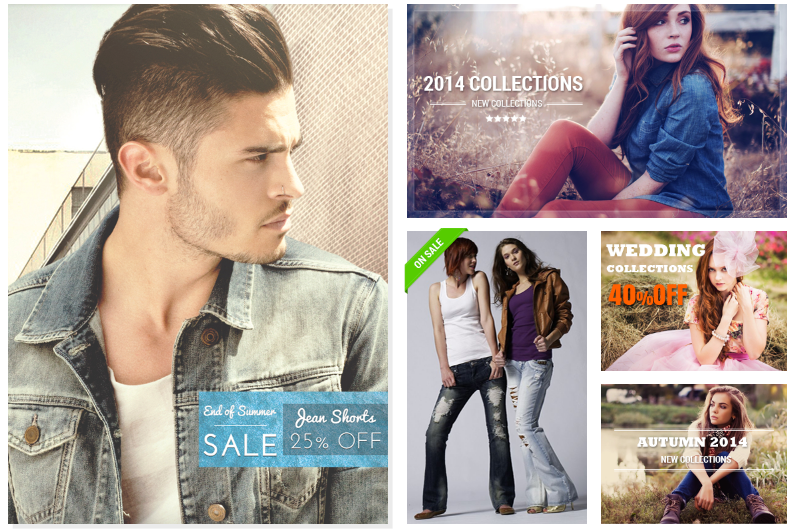 In your Website’s Directory, go to \app\design\frontend\Sm\lovefashion\Magento_Newsletter\templates folder. 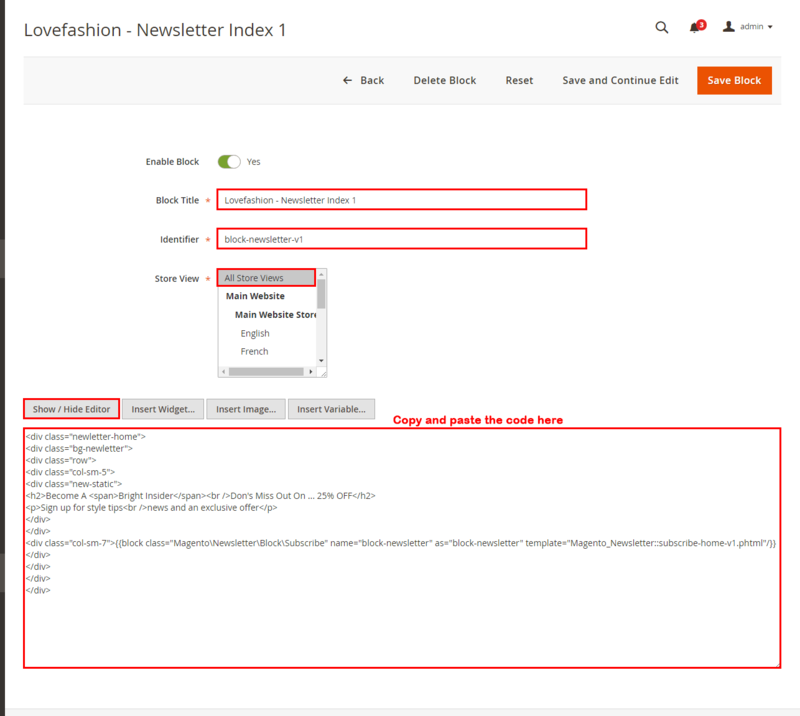 In this folder, you could open the file named subscribe-popup.phtml by your editor program, to change the text such as: Your email address, Don\’t show this popup again, please find these words and edit as you want. 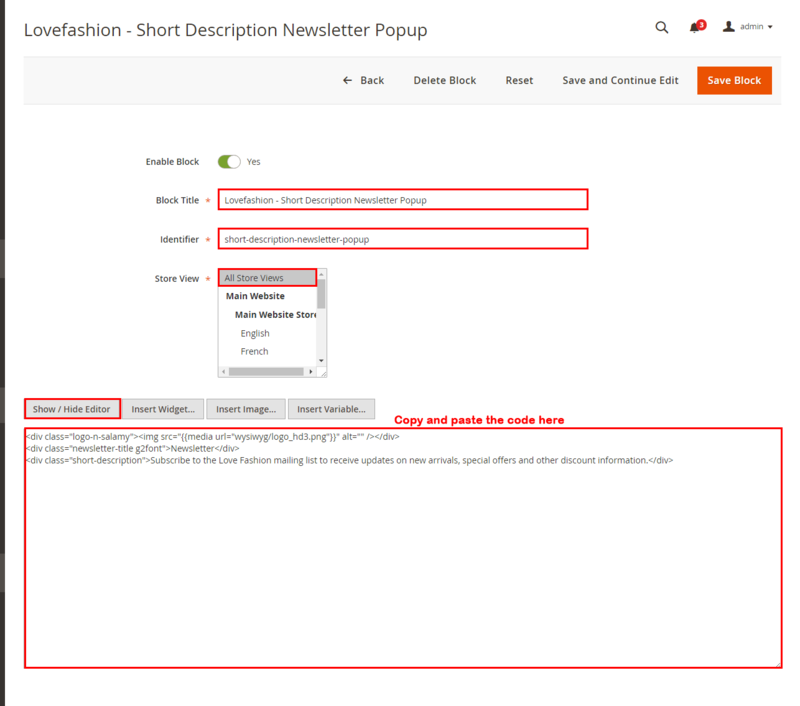 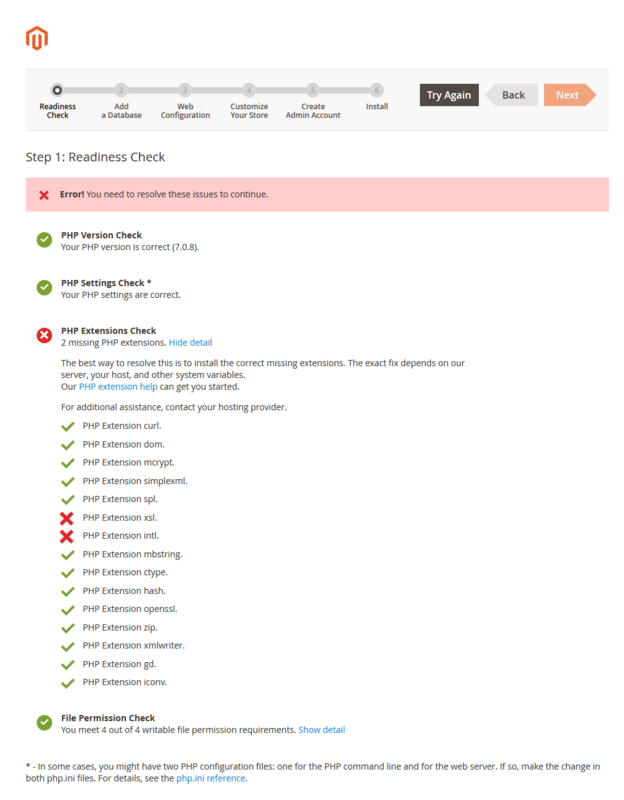 Backend of the pop-up: Please click Here to view.